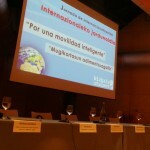 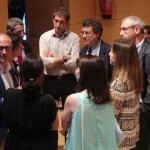 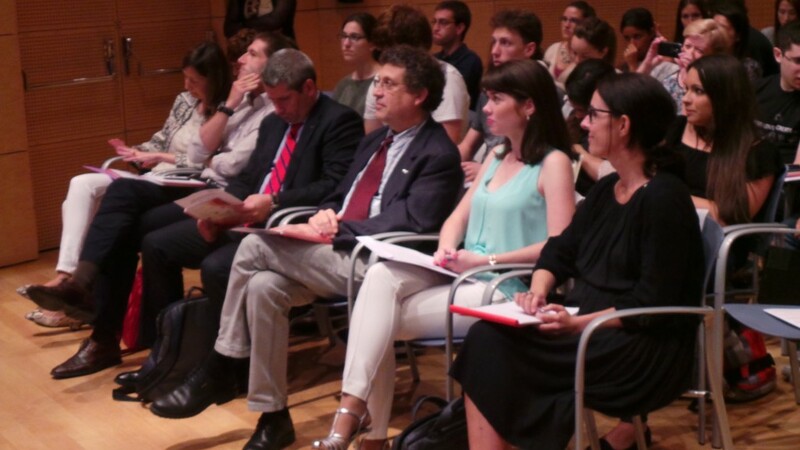 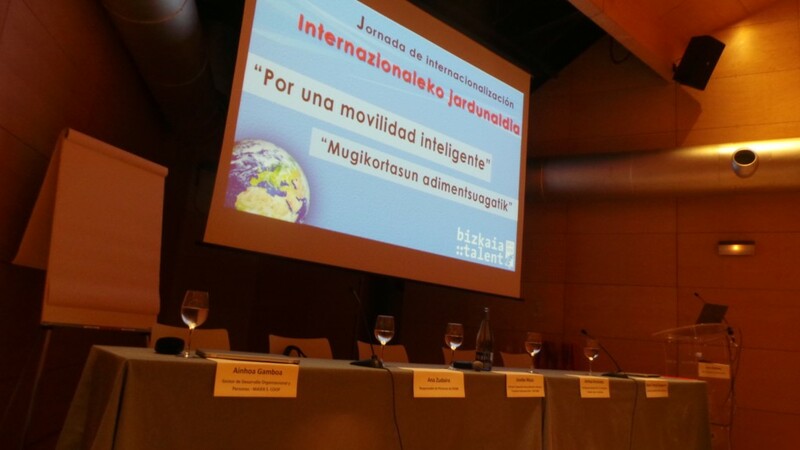 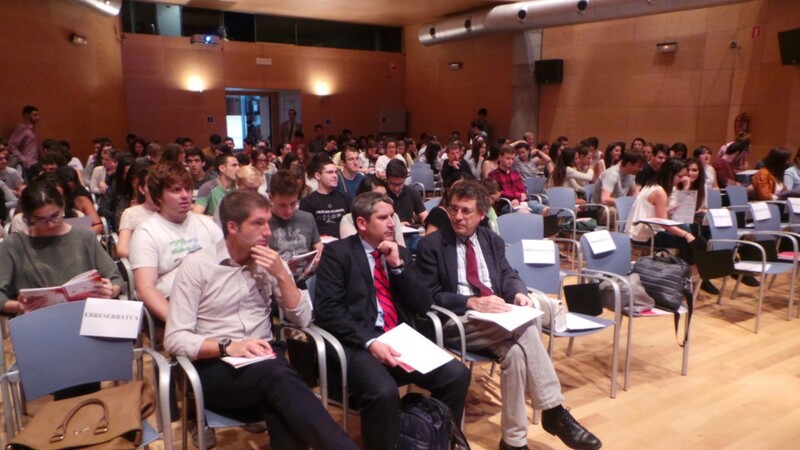 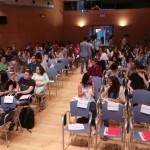 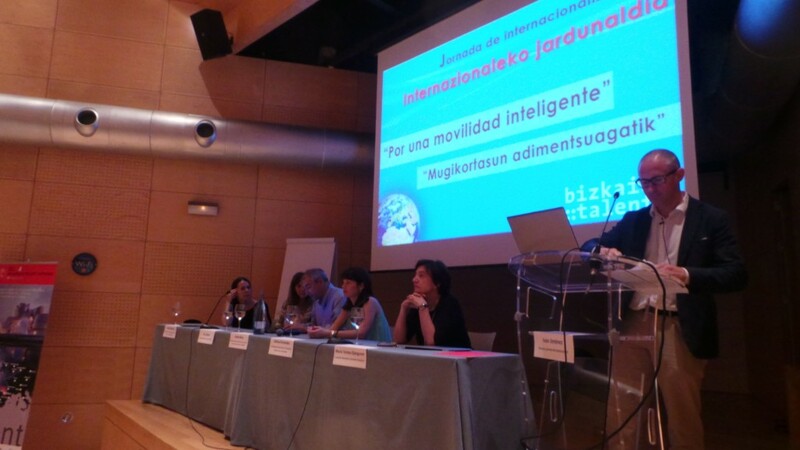 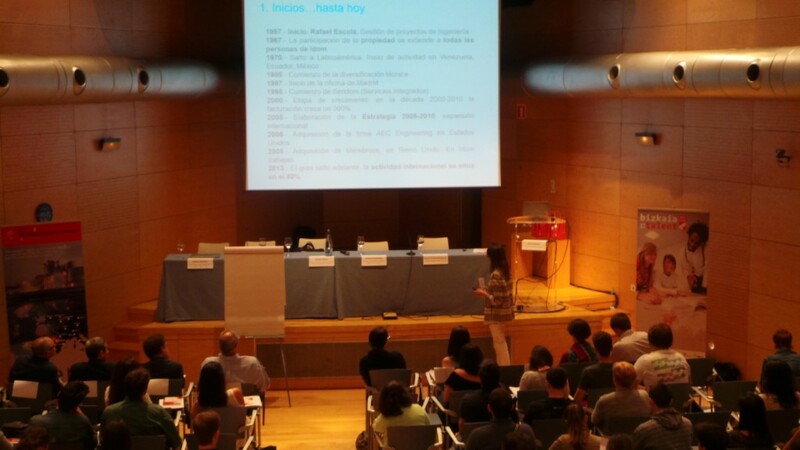 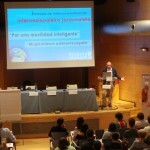 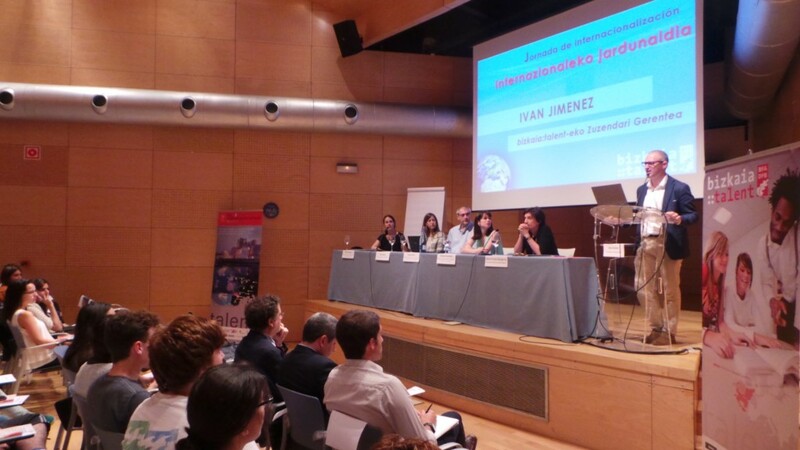 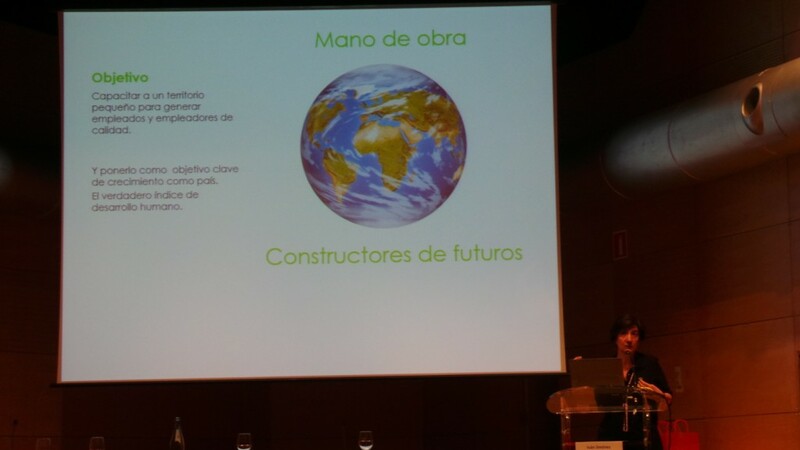 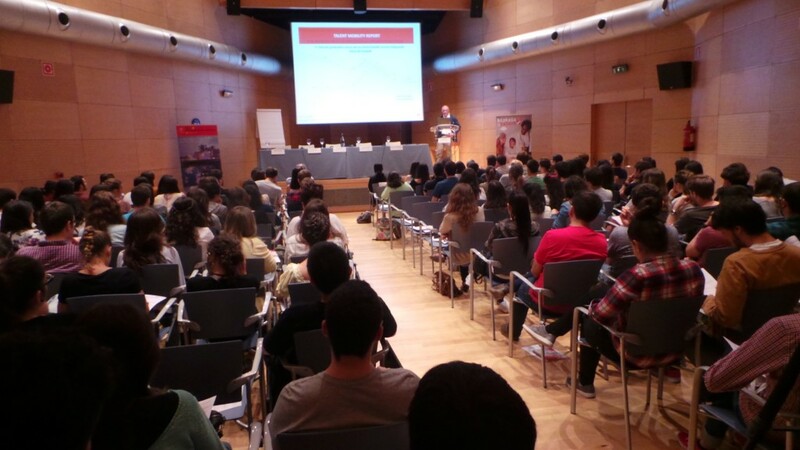 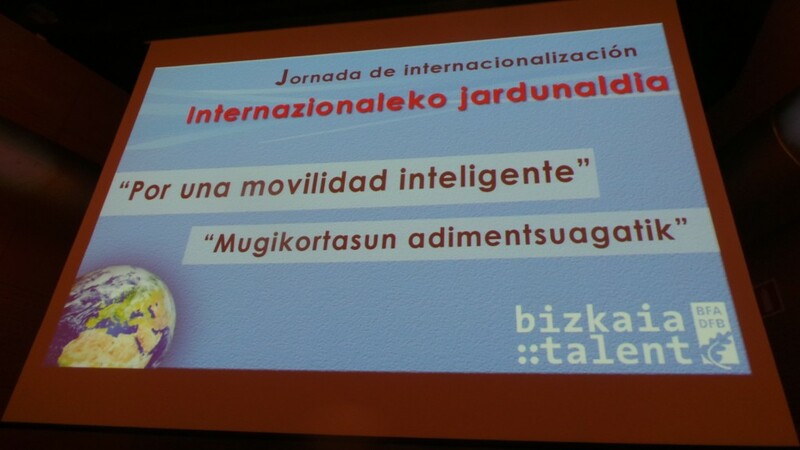 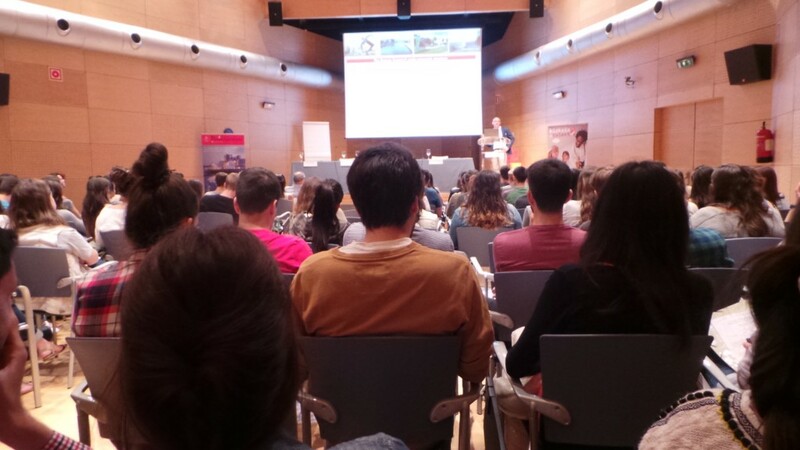 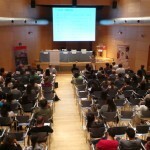 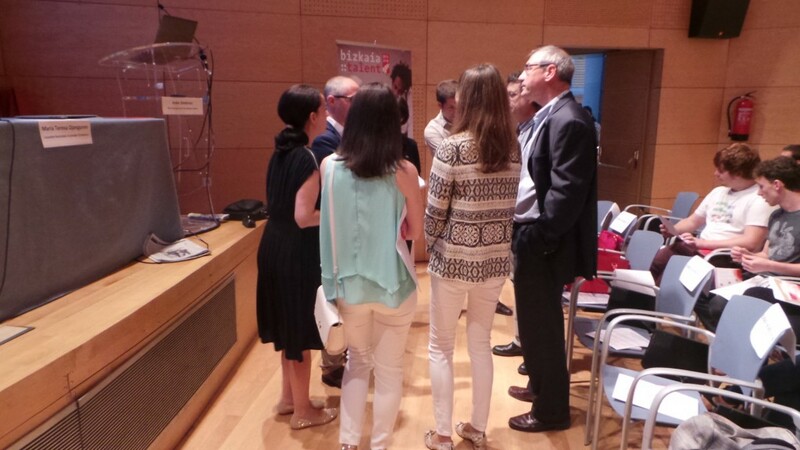 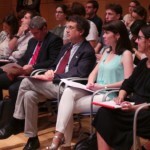 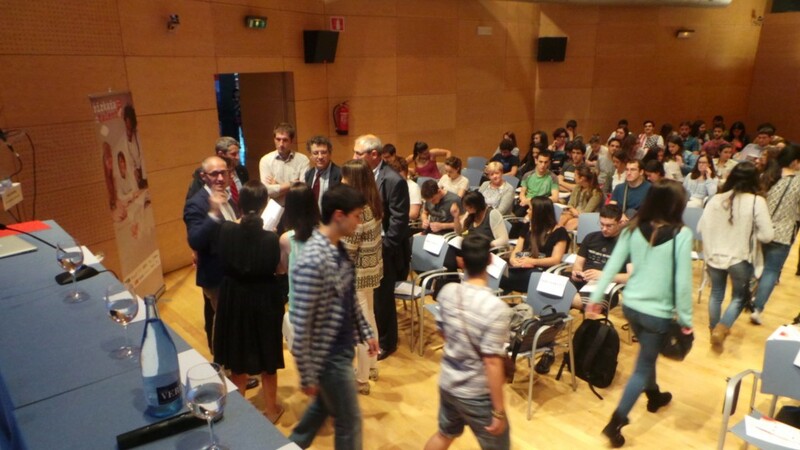 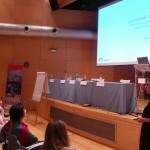 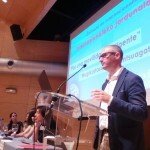 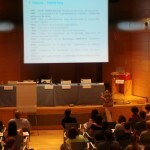 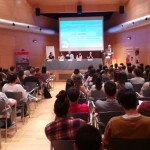 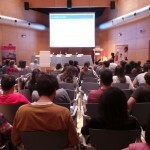 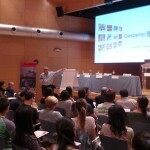 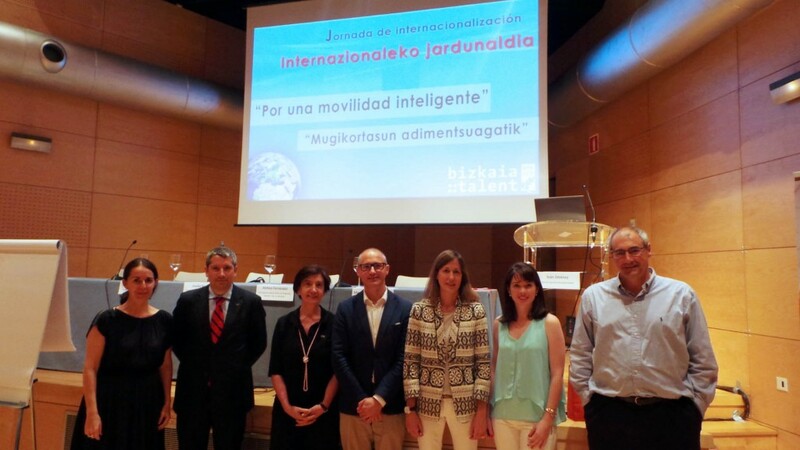 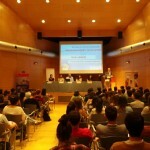 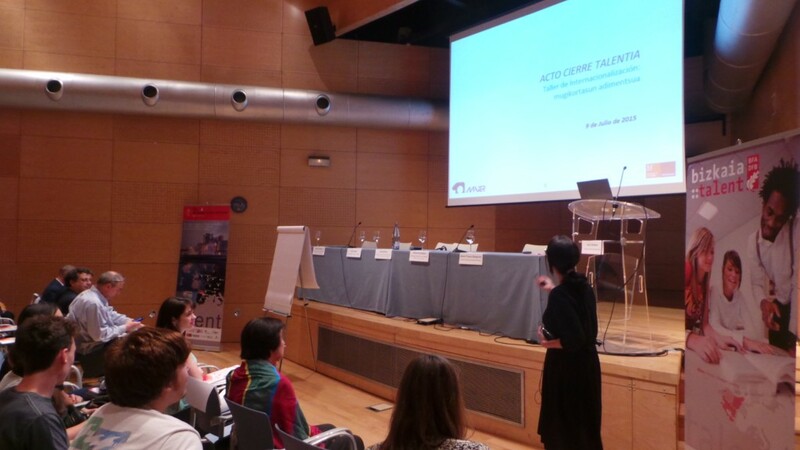 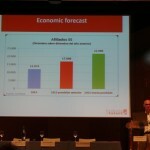 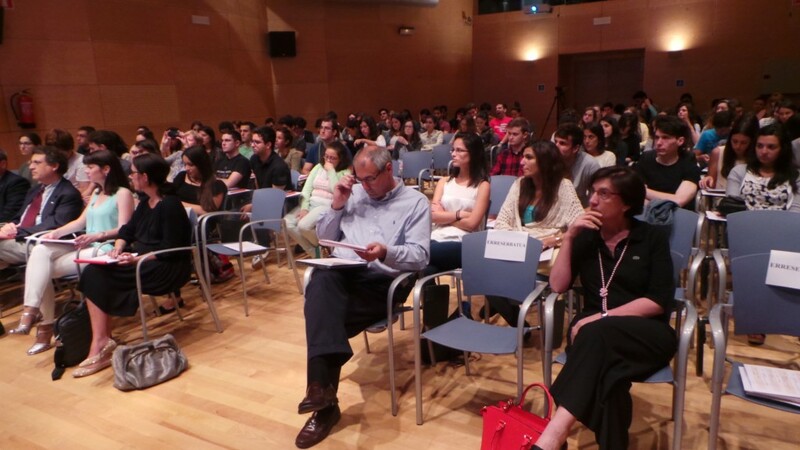 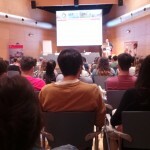 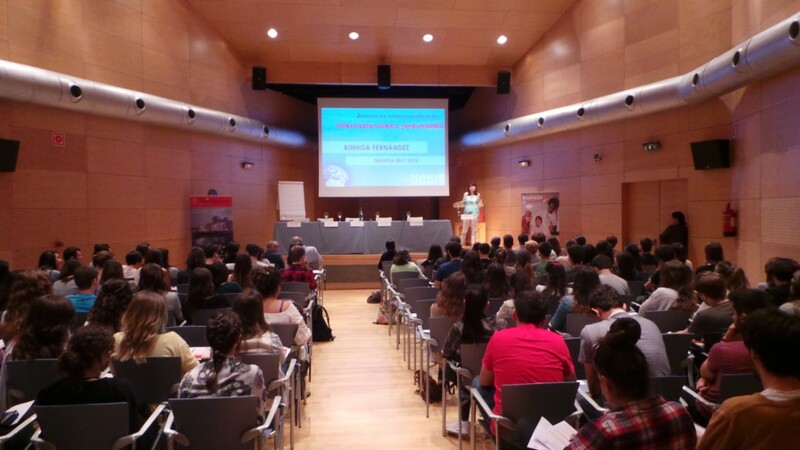 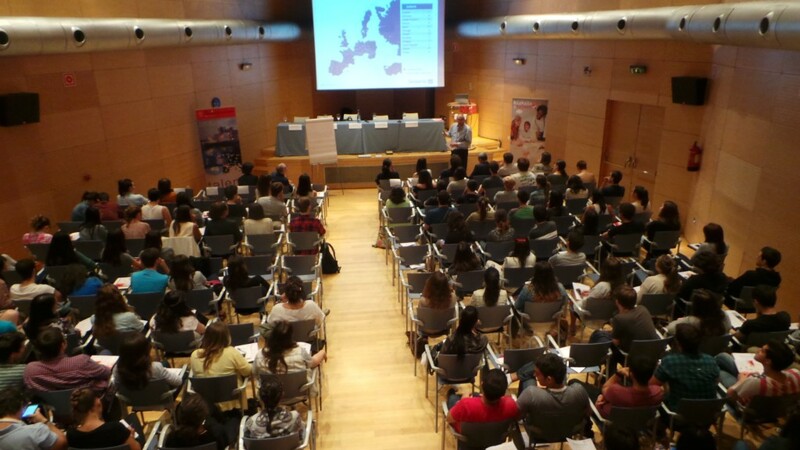 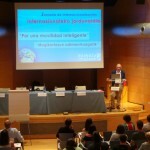 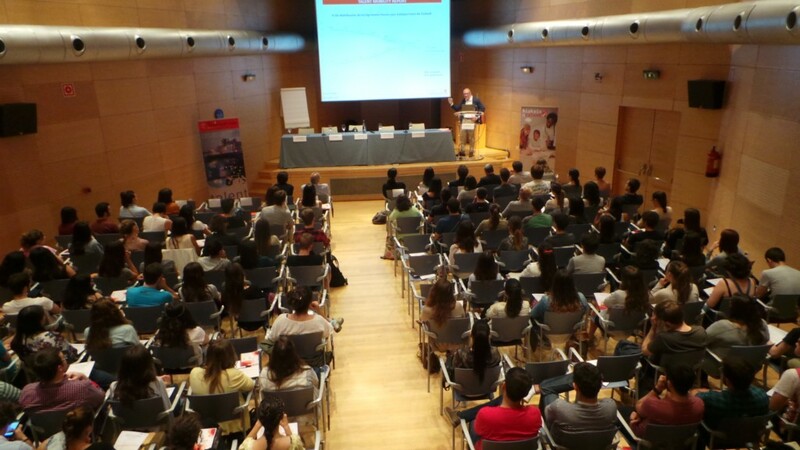 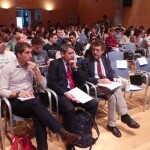 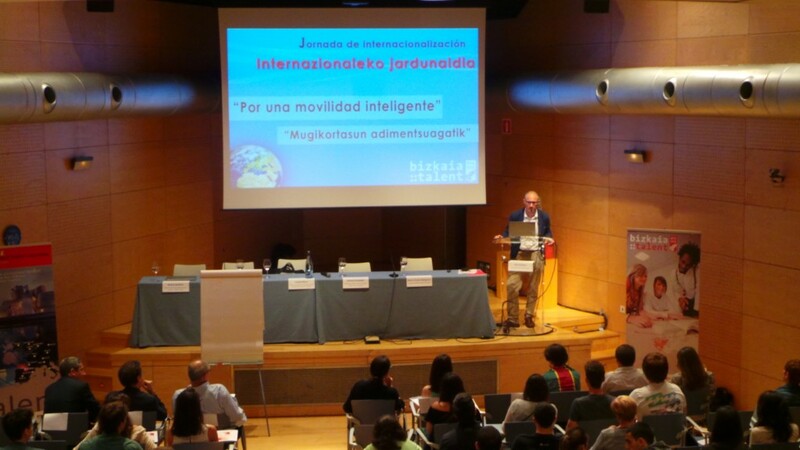 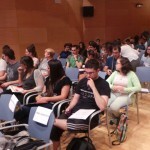 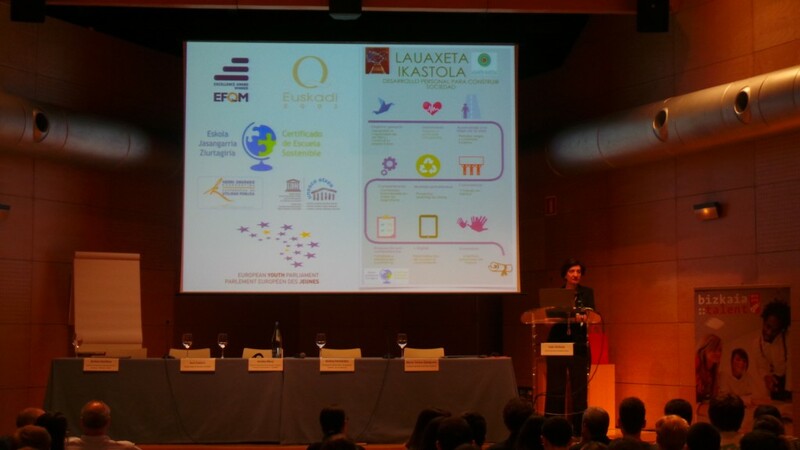 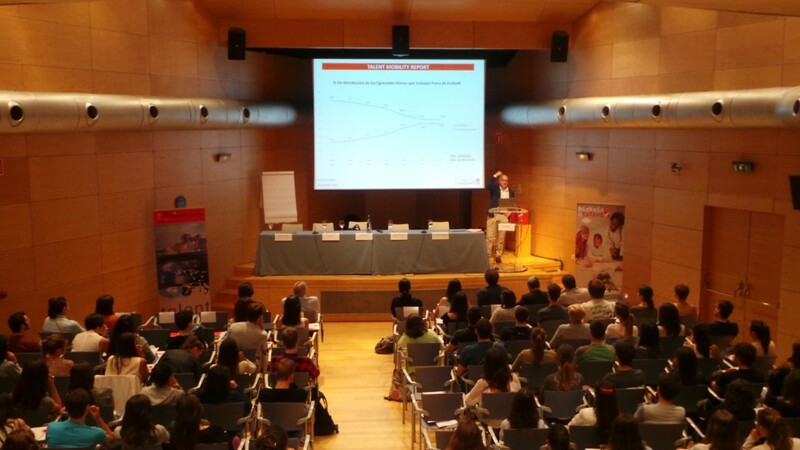 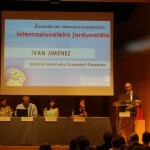 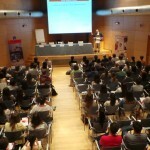 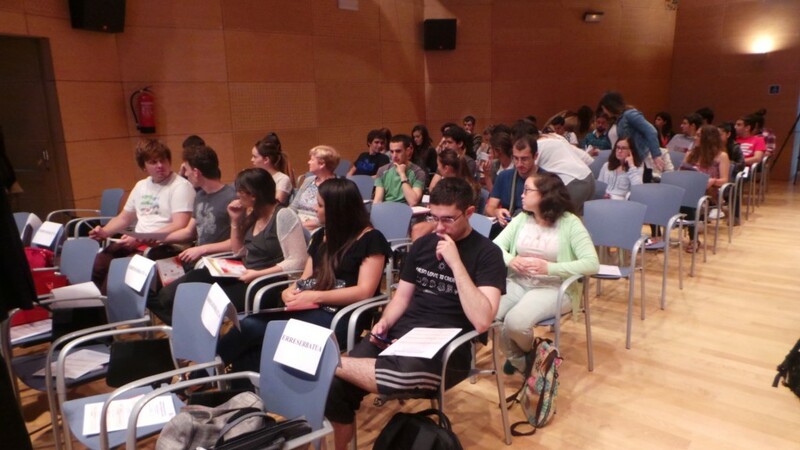 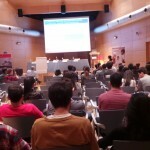 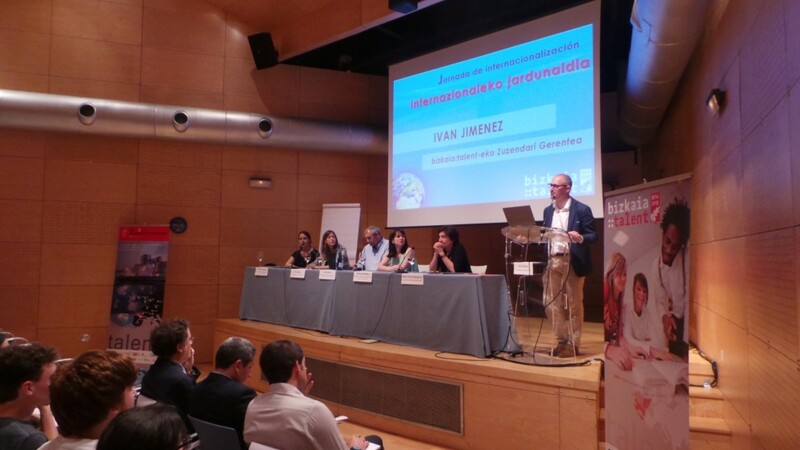 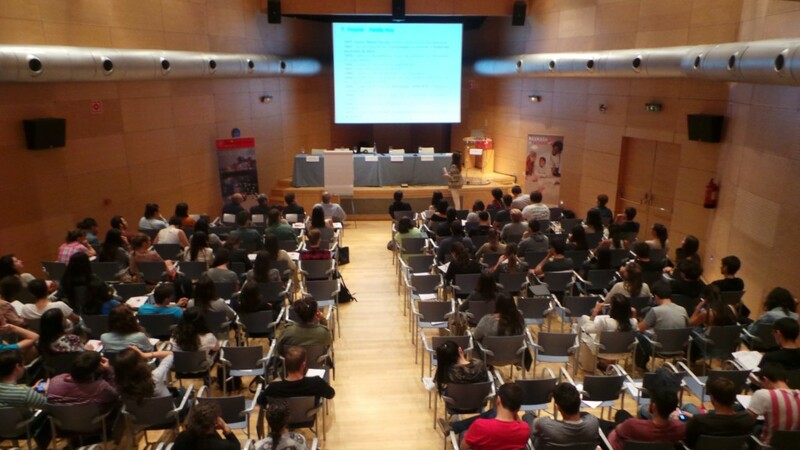 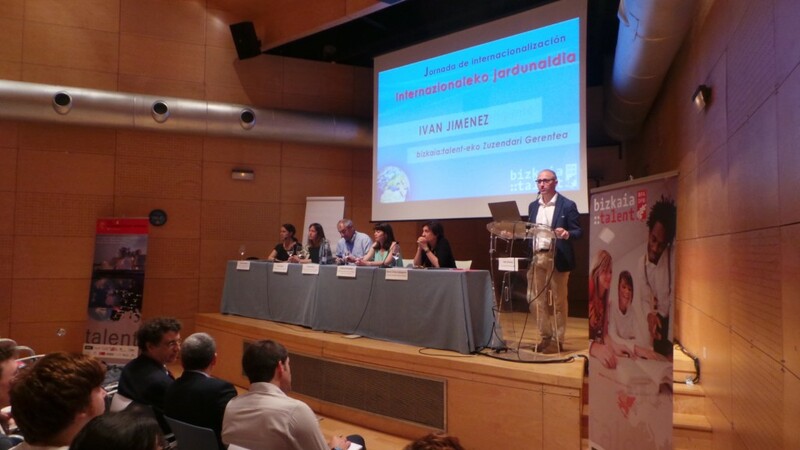 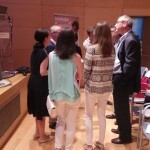 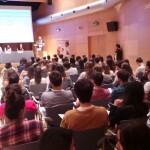 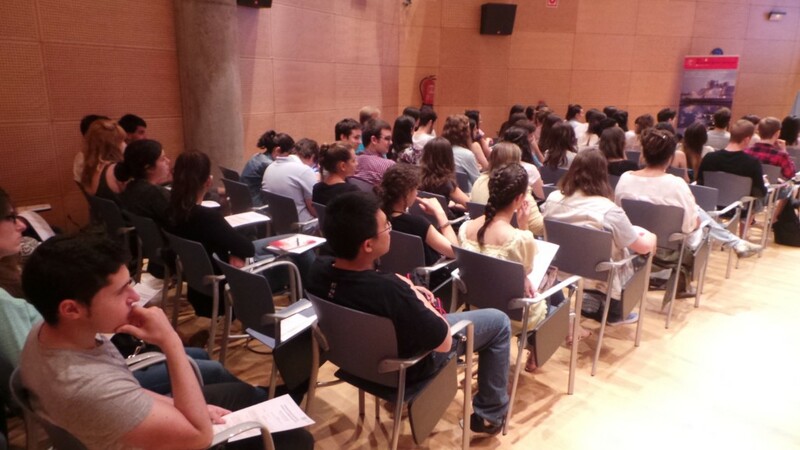 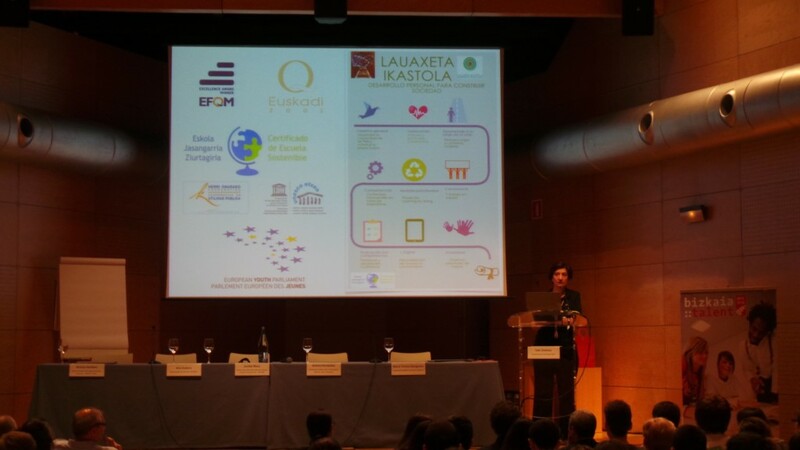 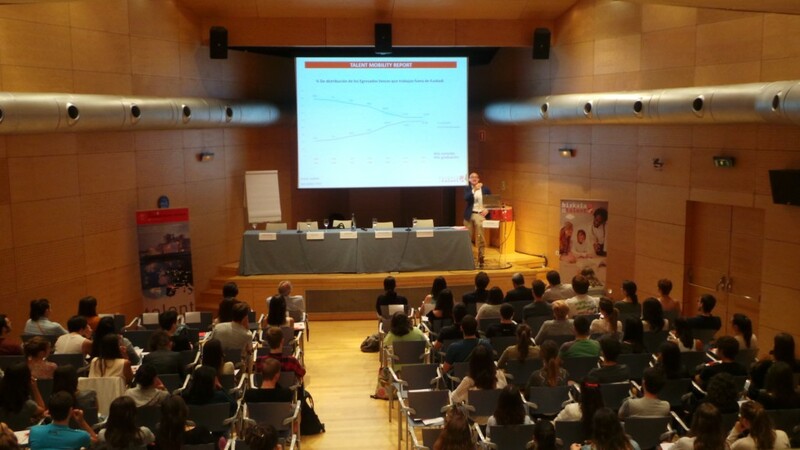 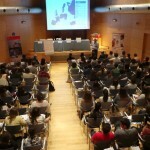 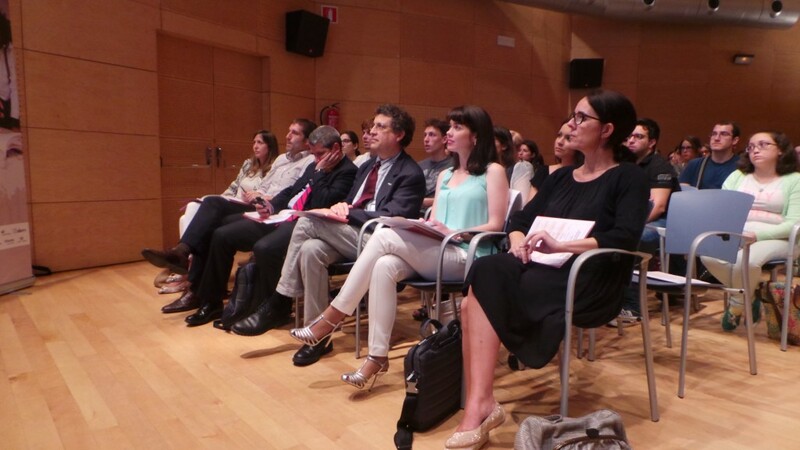 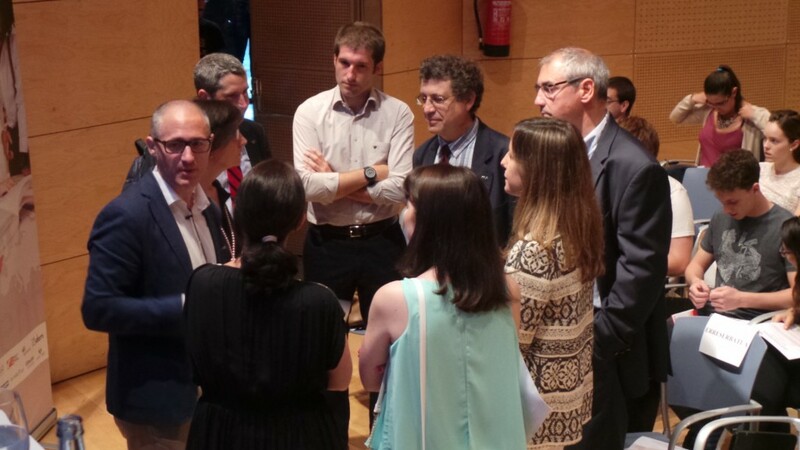 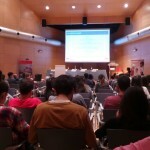 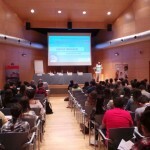 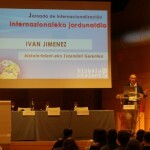 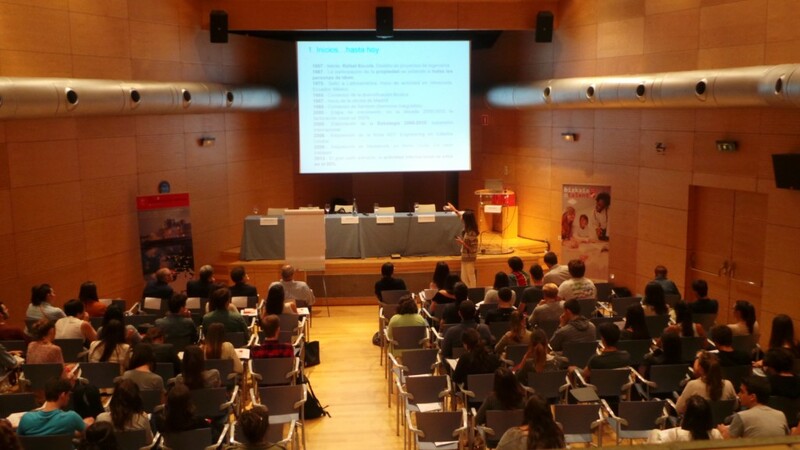 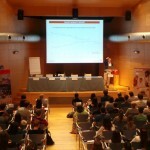 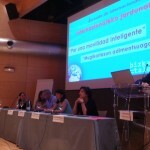 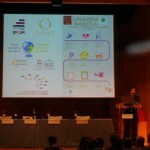 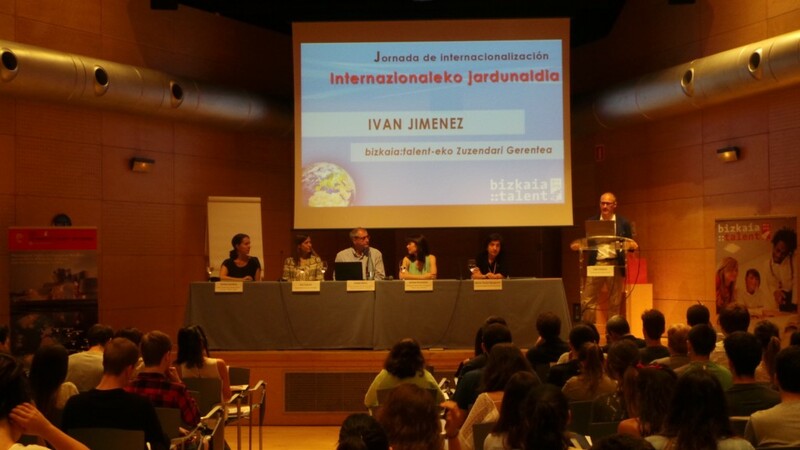 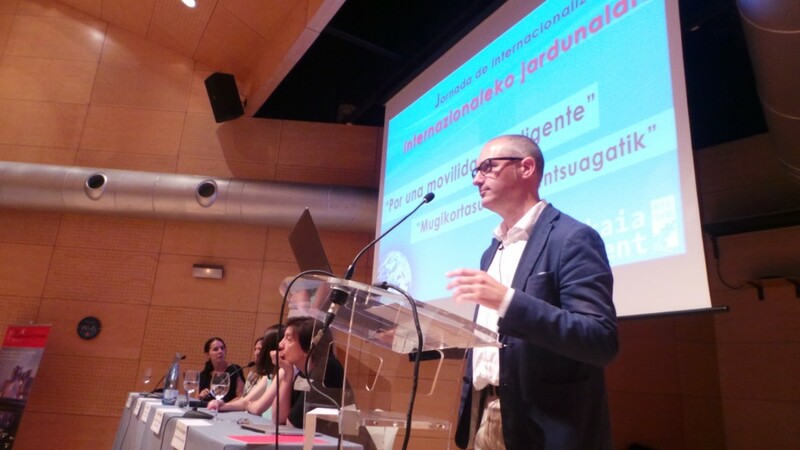 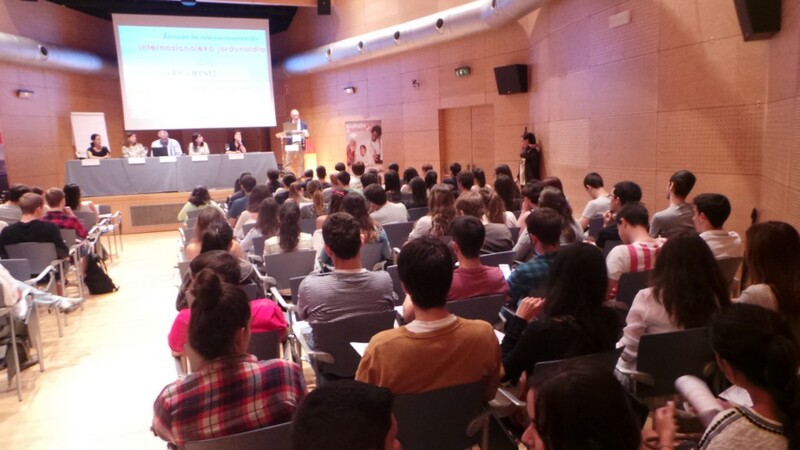 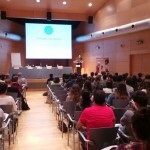 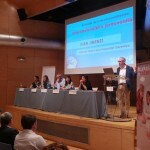 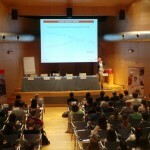 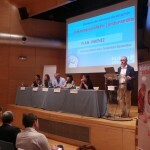 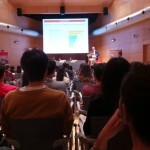 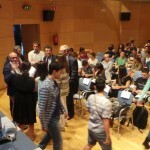 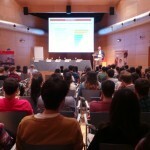 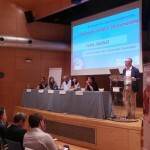 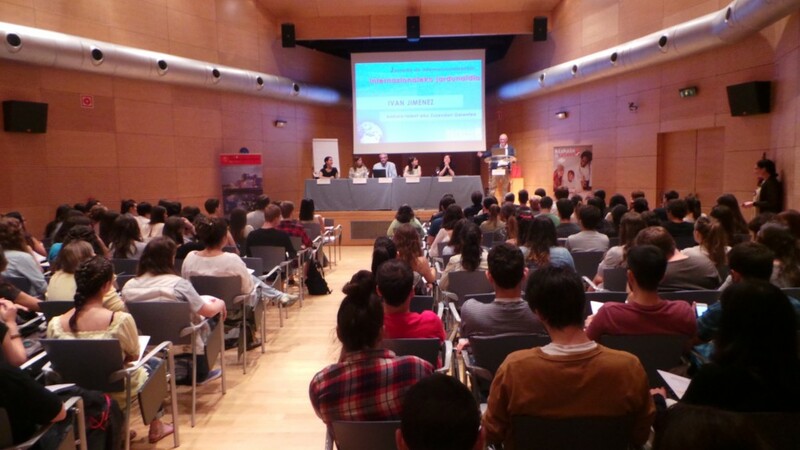 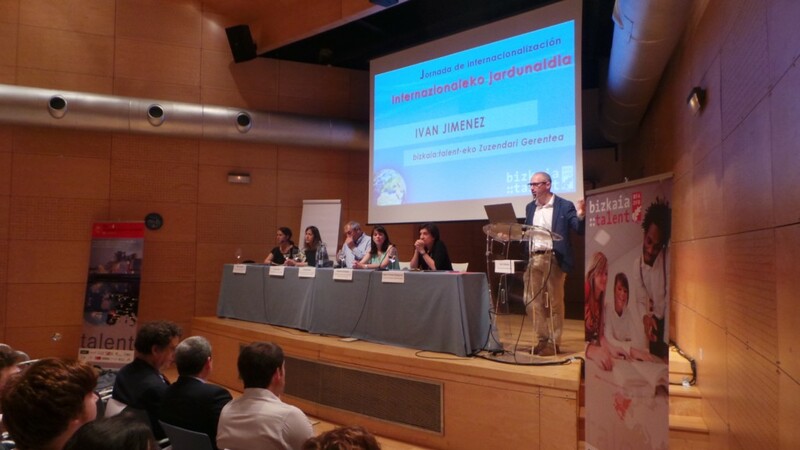 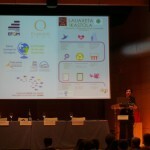 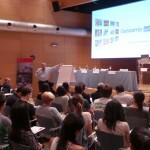 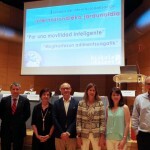 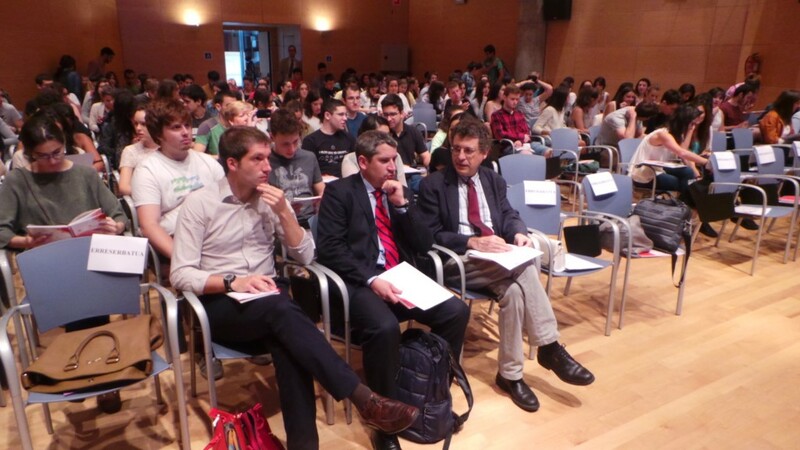 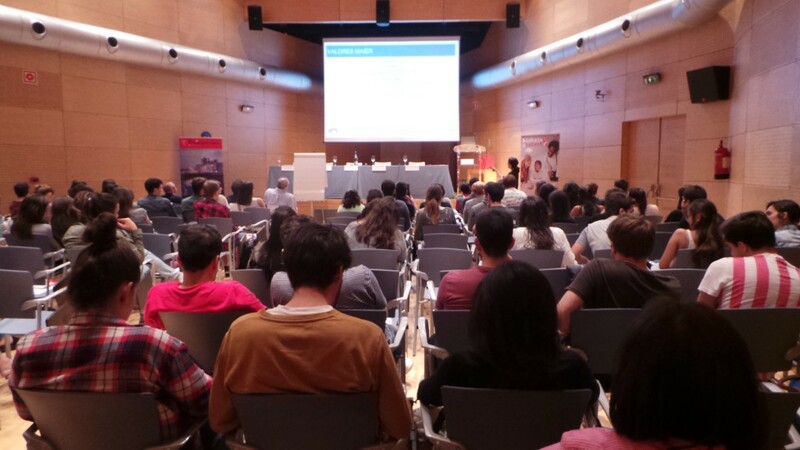 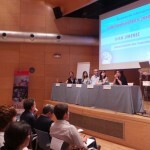 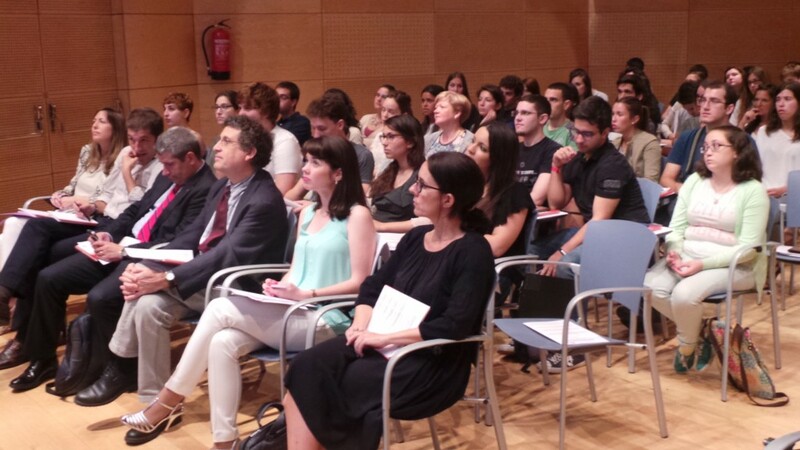 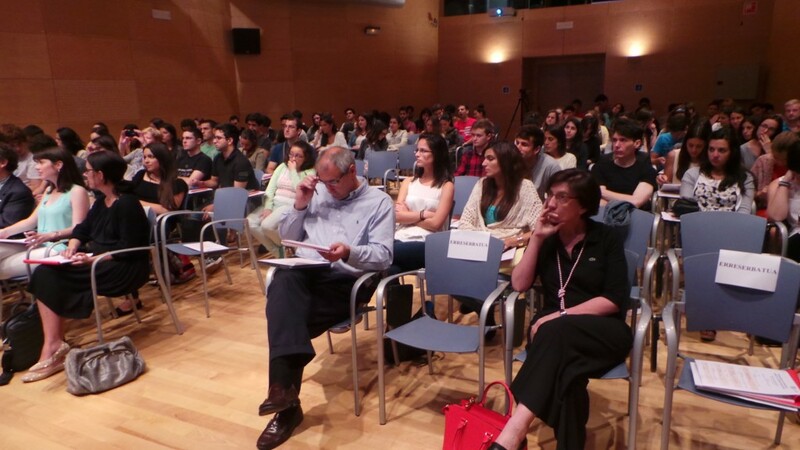 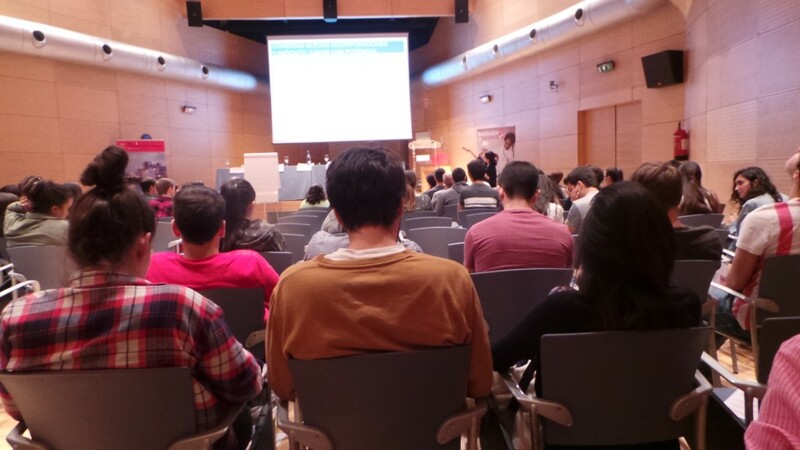 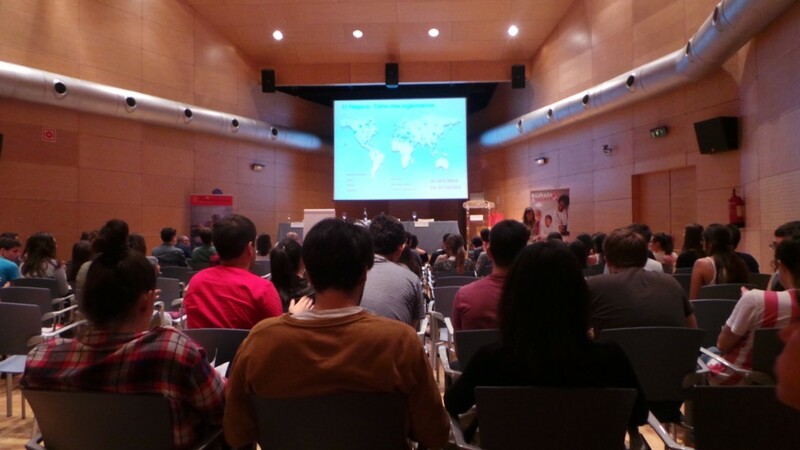 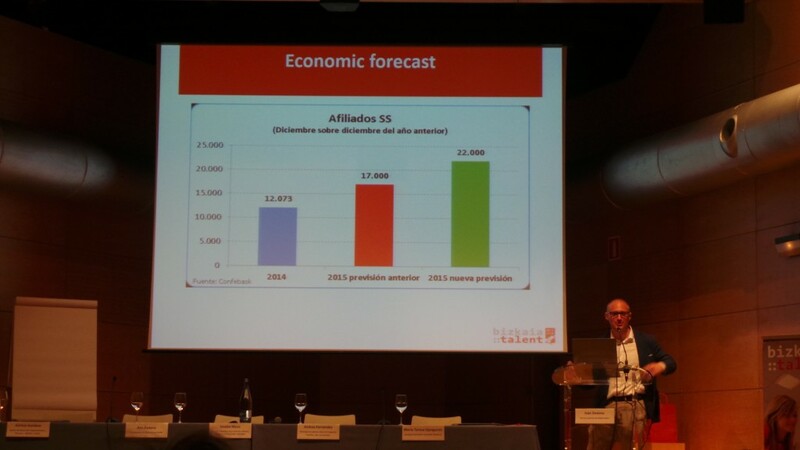 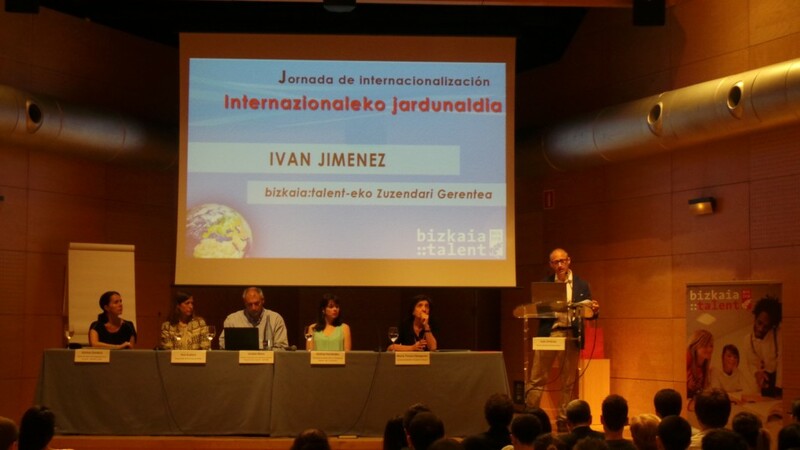 Last Thursday, 9 July, bizkaia:talent organized the first Internationalization Conference “For Smart Mobility” within the Talentia Programme 2014-2015. 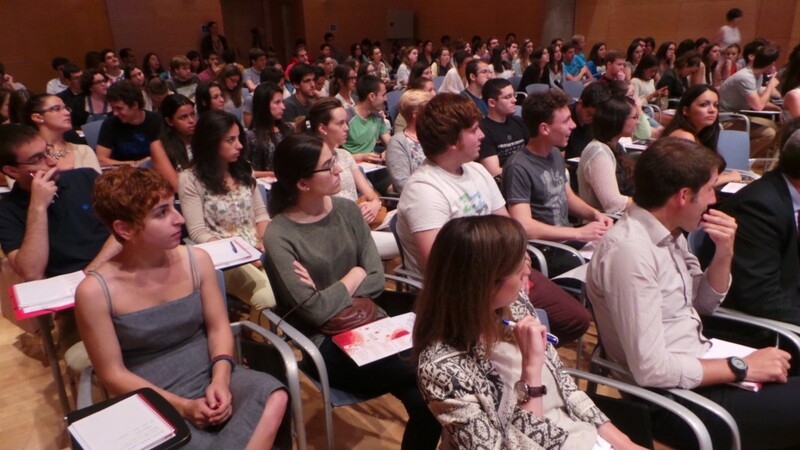 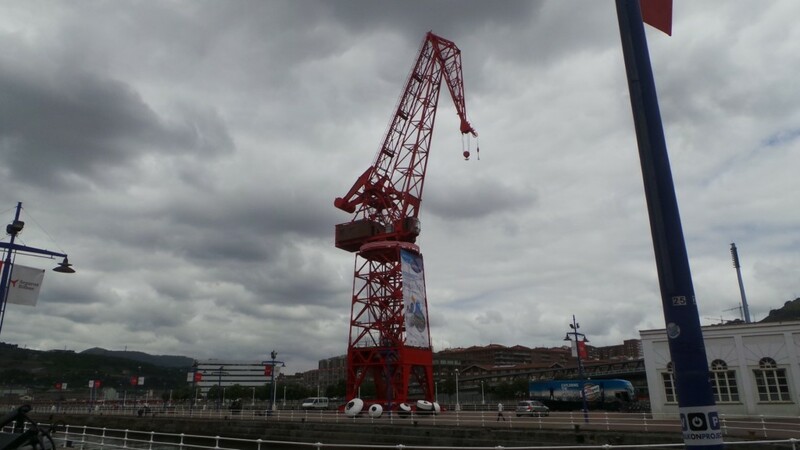 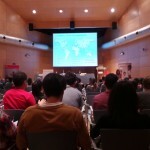 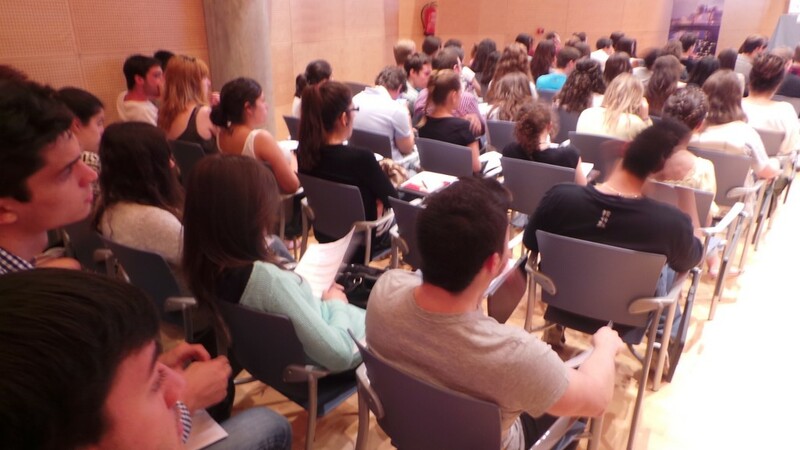 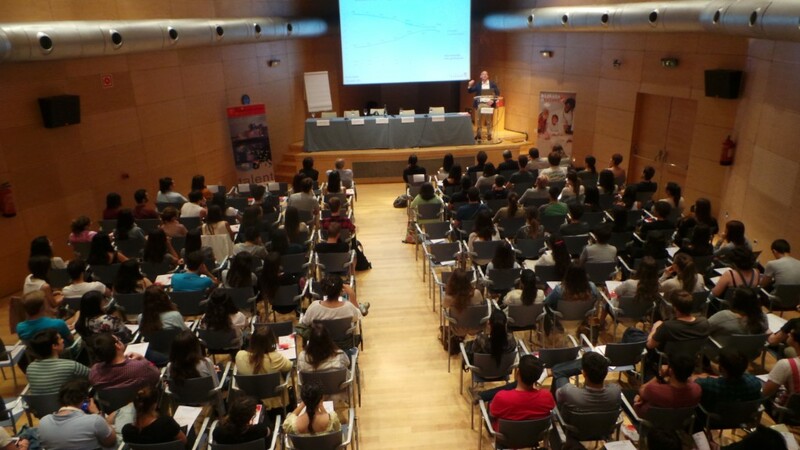 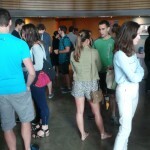 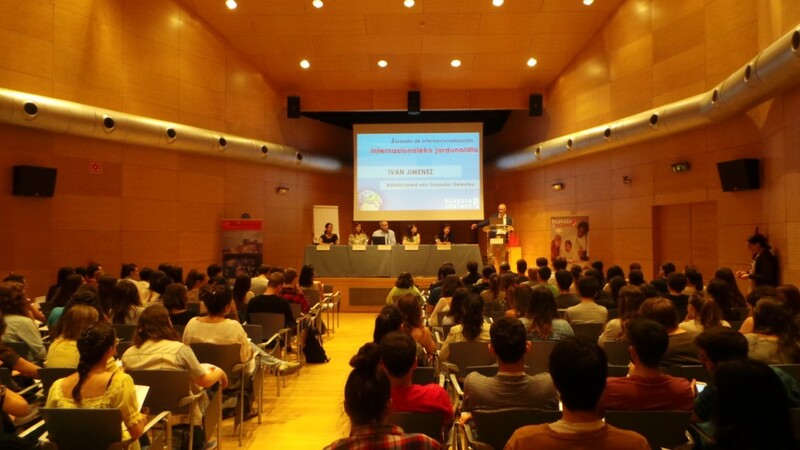 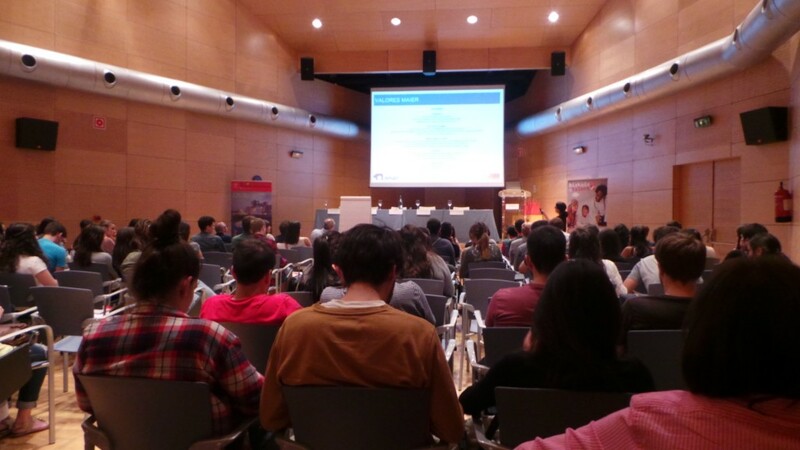 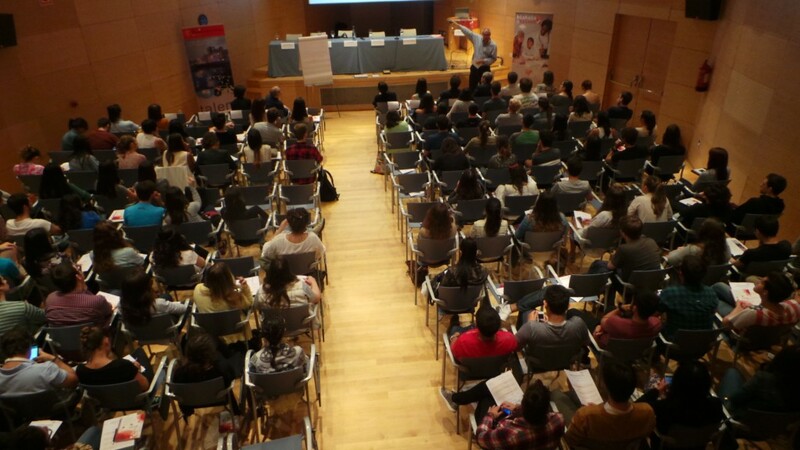 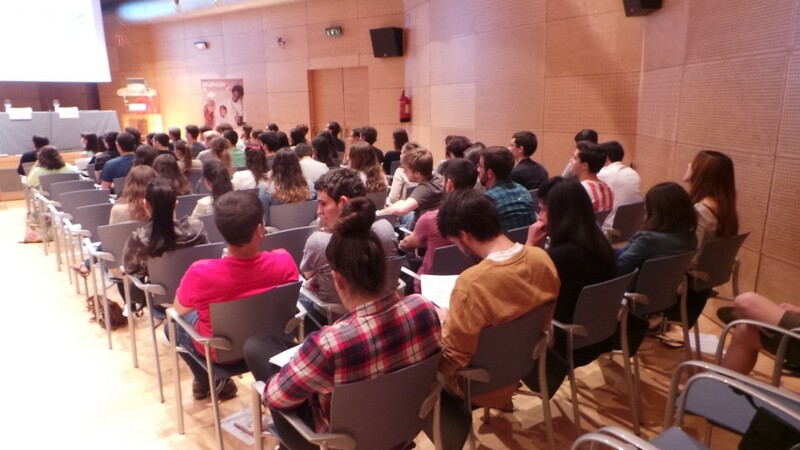 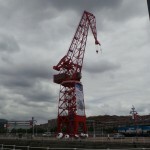 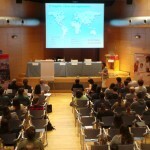 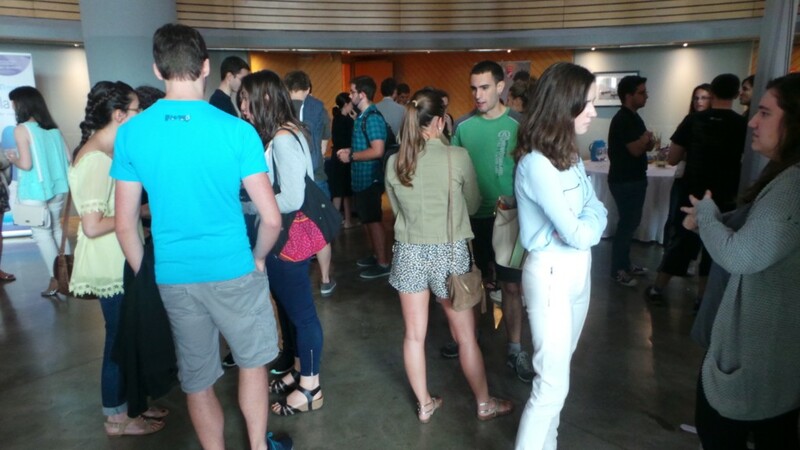 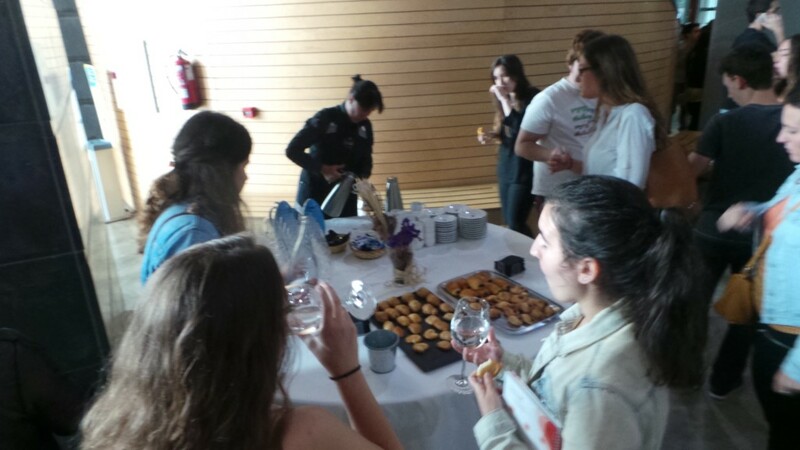 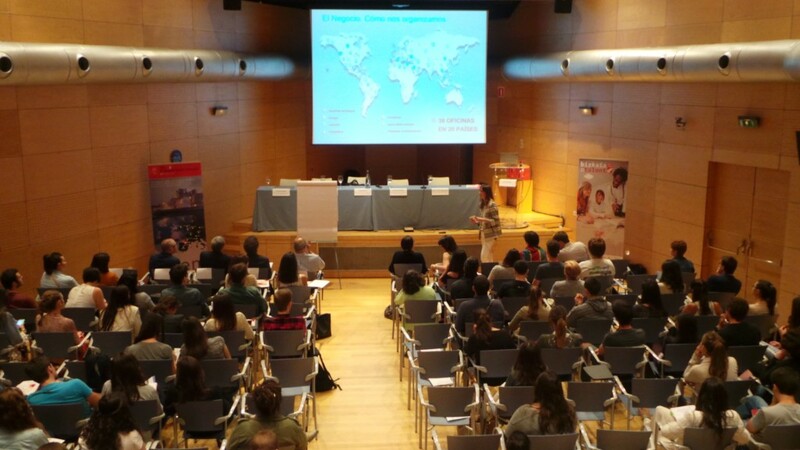 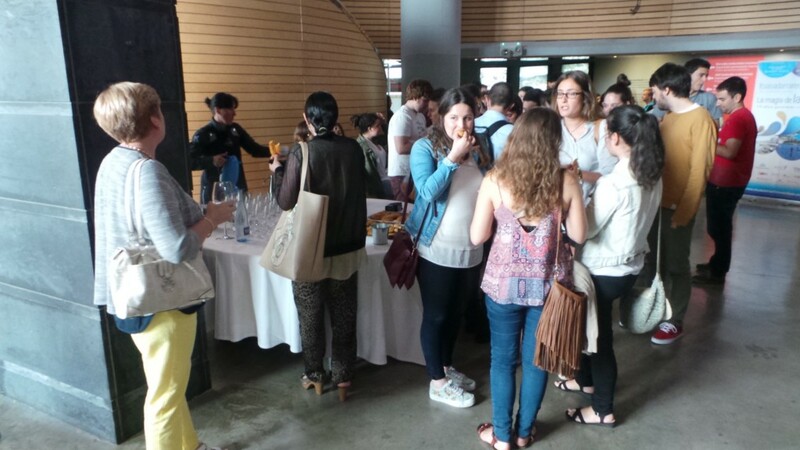 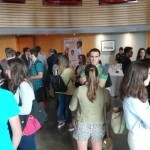 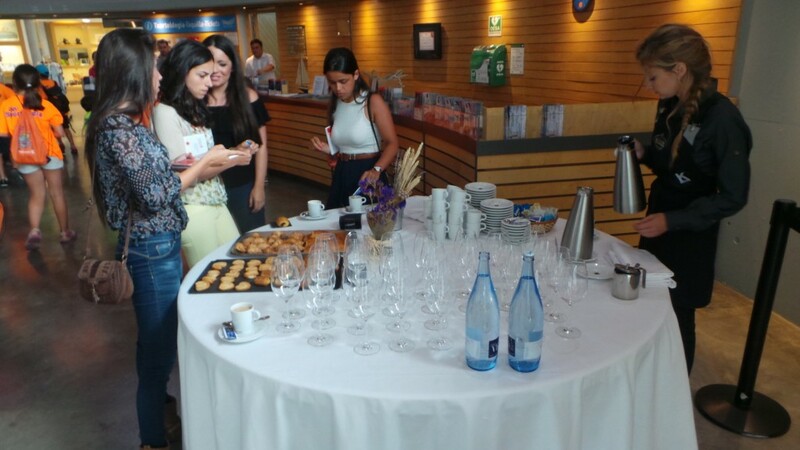 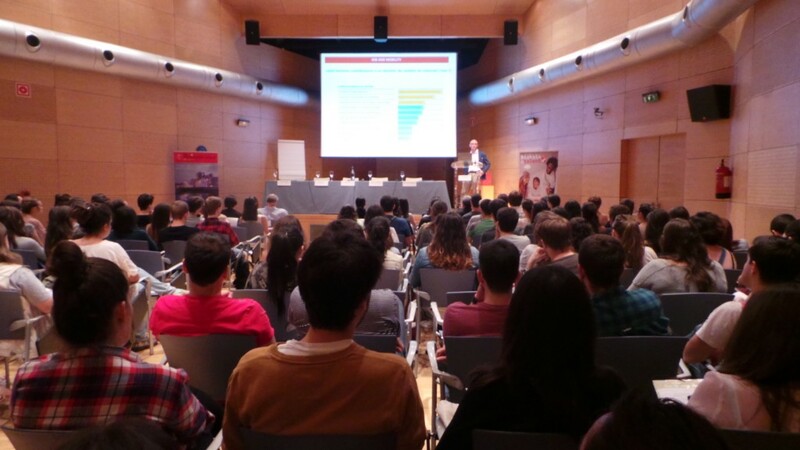 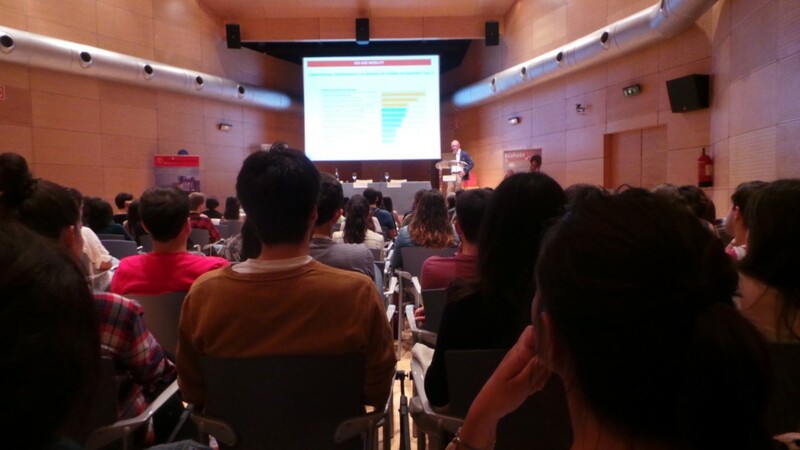 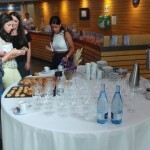 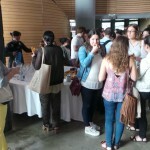 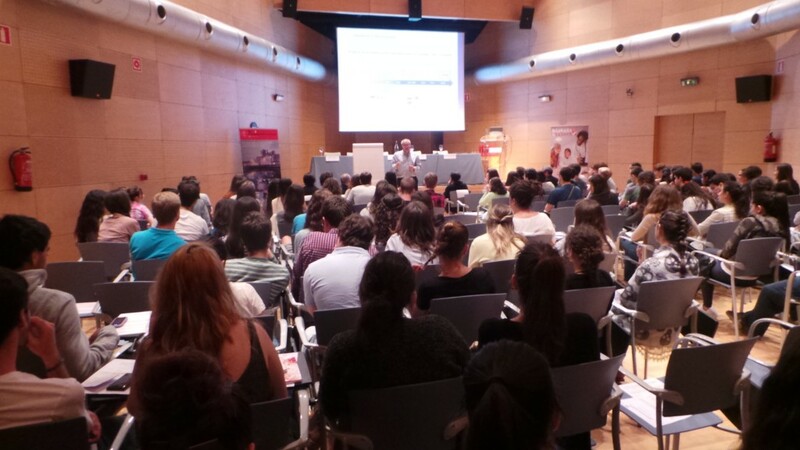 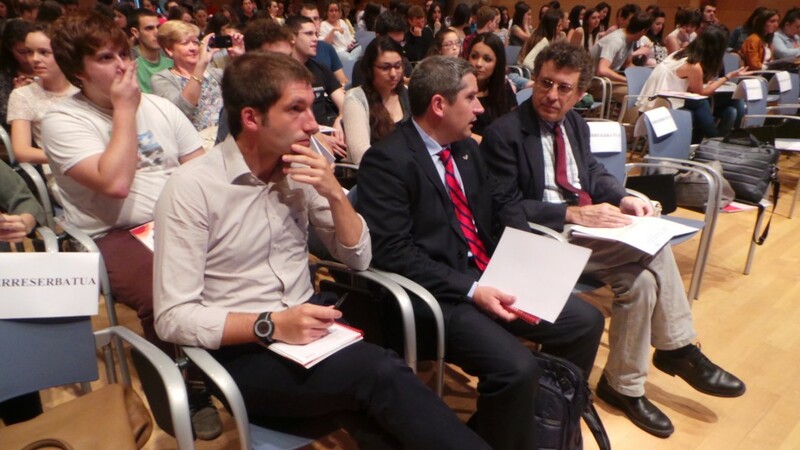 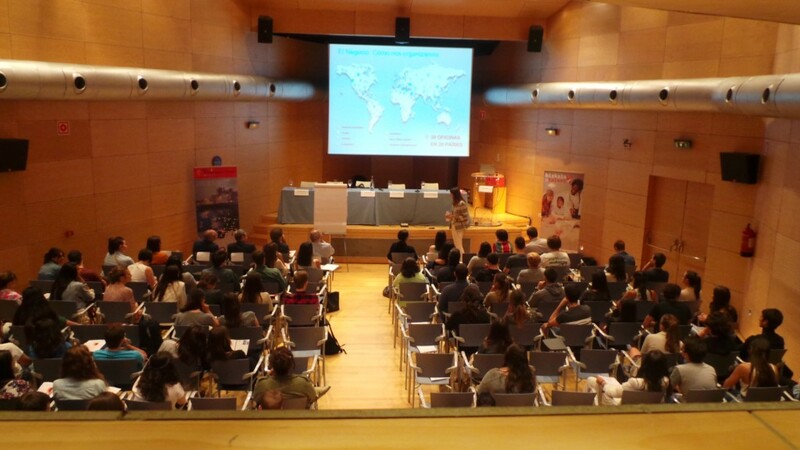 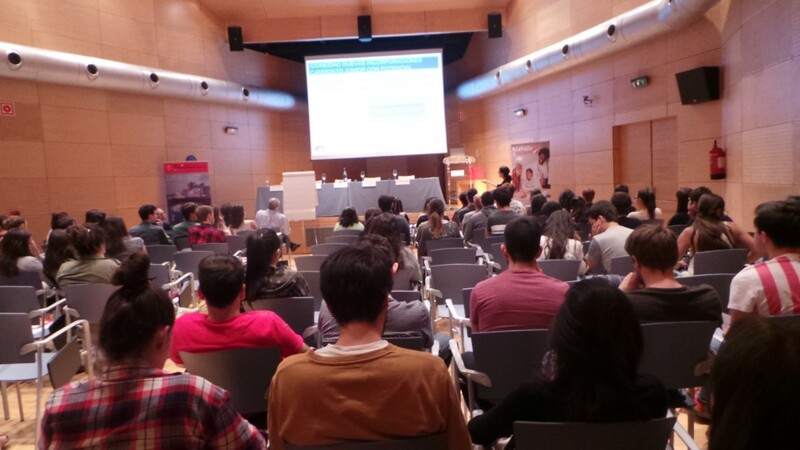 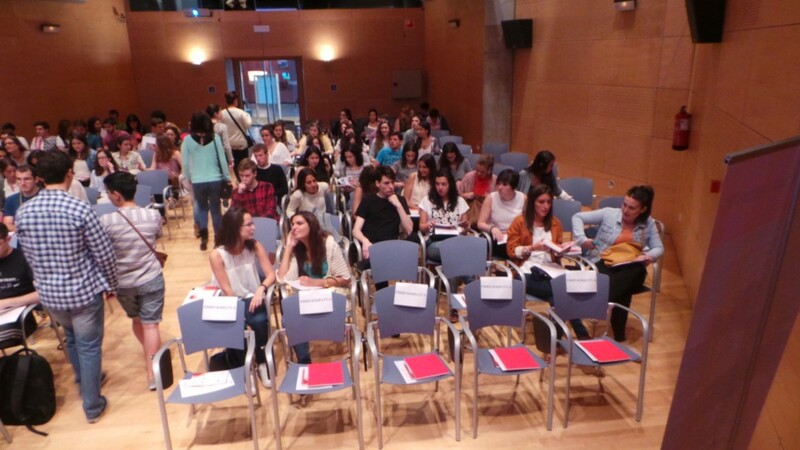 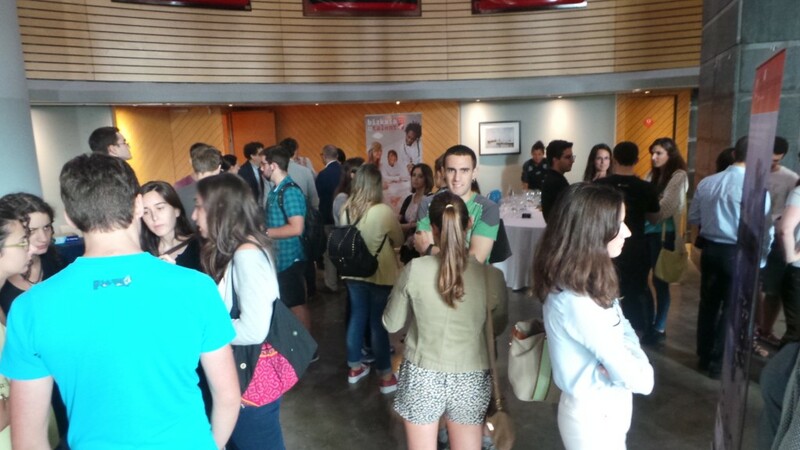 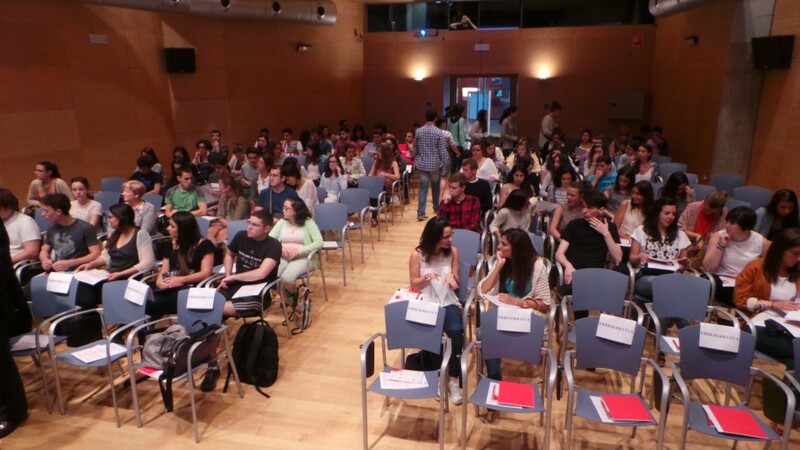 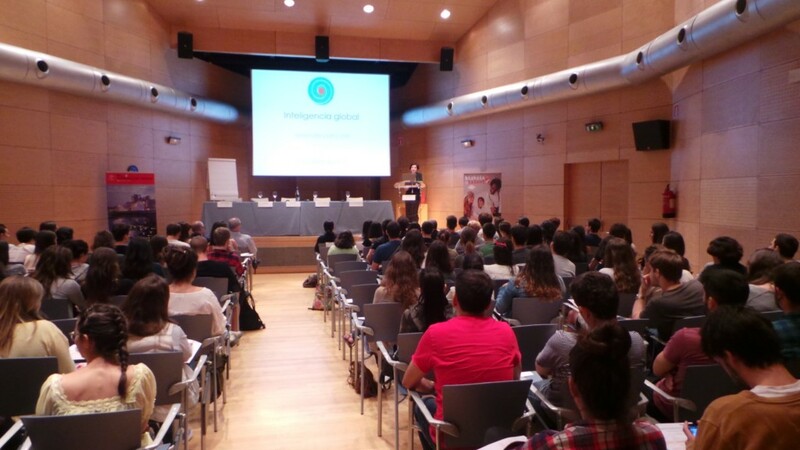 The event, which took place in the Ria de Bilbao Maritime Museum, was attended by over 150 people including participants in the Talentia Programme and representatives from the three Basque Universities: University of Deusto, University of the Basque Country and Mondragon University. 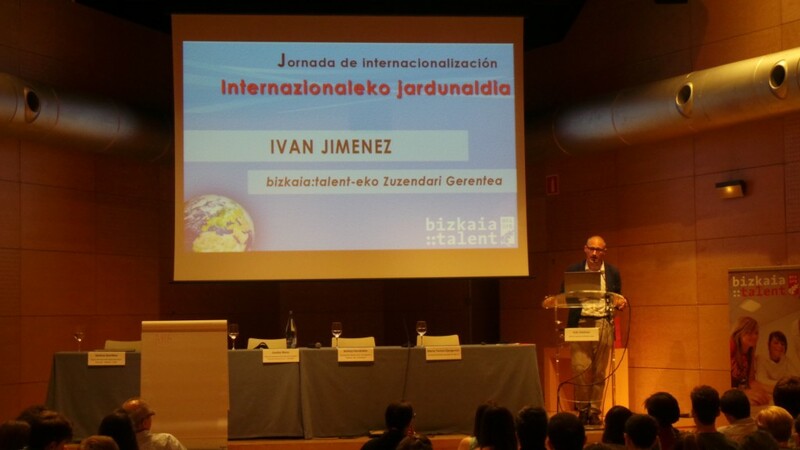 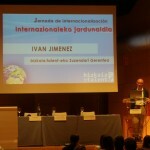 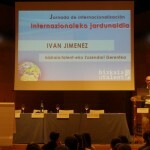 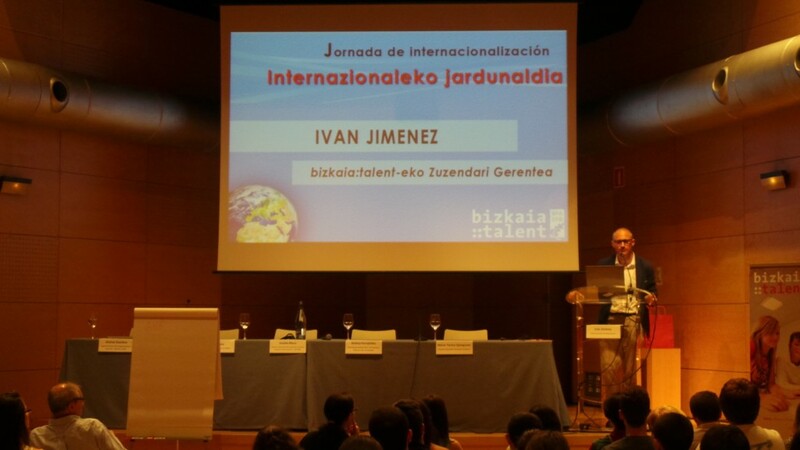 Ivan Jimenez, managing director of bizkaia:talent, was in charge of welcoming all the attendees, introduce all the speakers and explain the importance of having international professional experience. 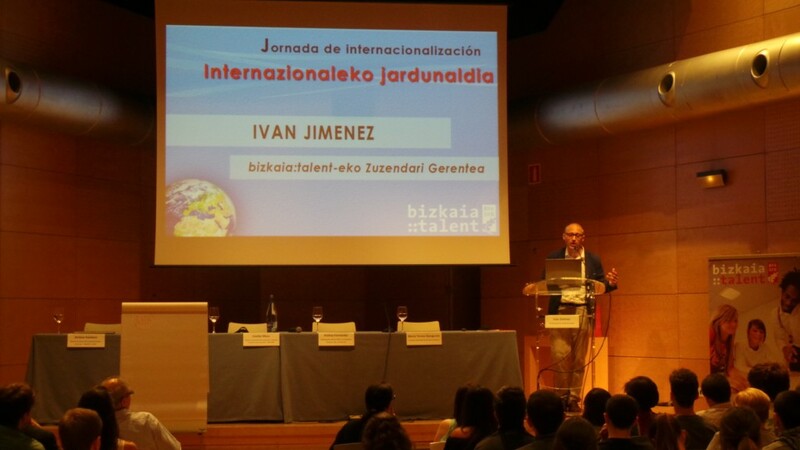 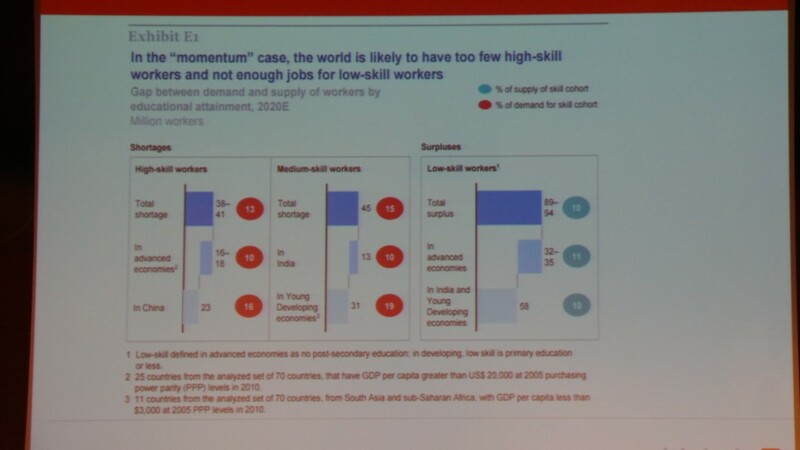 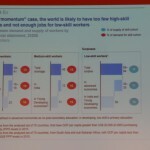 He also pointed out that, in spite of the improvement in the economy of the Basque Country and the increase in hiring, there are many companies which are having difficulty in finding some professional profiles. 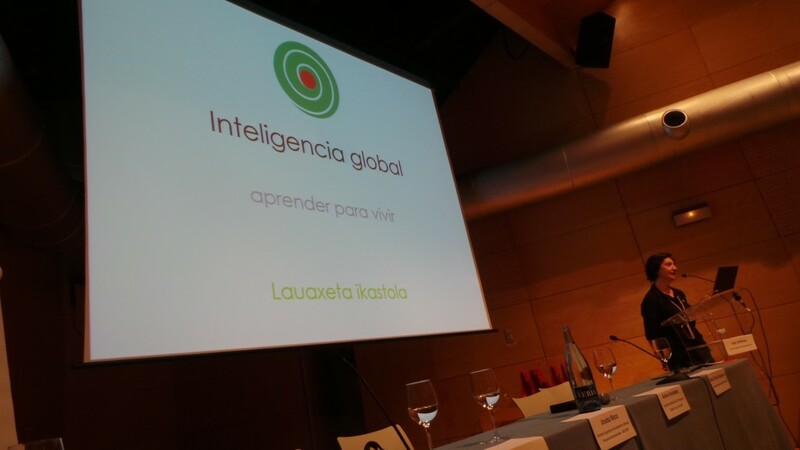 He also stressed how important metropolitan areas are to attract talent, even more so than countries, and spoke about the future trends in smart mobility. 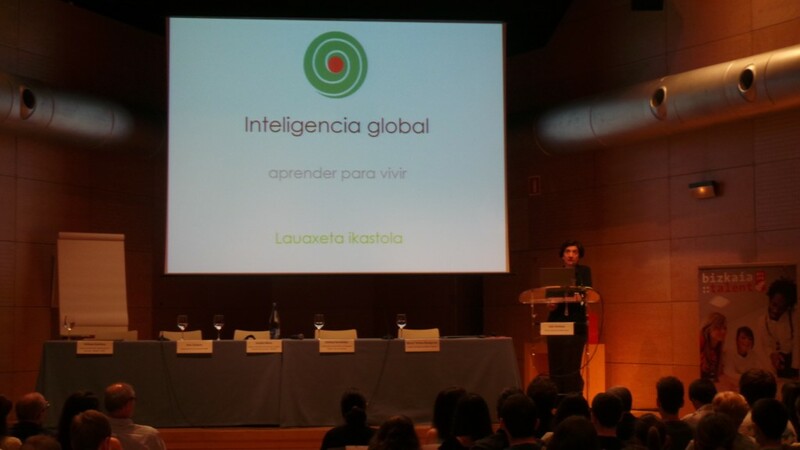 After his intervention, Maria Teresa Ojanguren, the principal of Ikastola Lauaxeta school, talked to the attendees about education from an early age being the key to develop the skills demanded by the current market and highlighted the importance of emotional values in people. 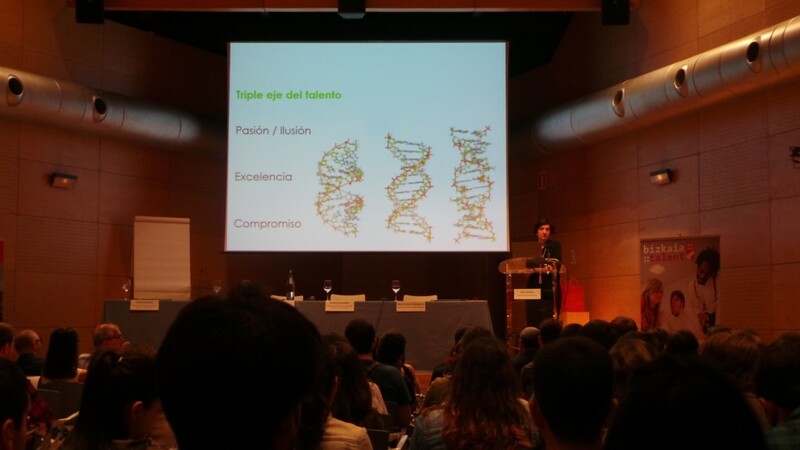 Likewise, she explained the three-fold basis of talent, which involves bringing together people’s passion and enthusiasm, excellence and commitment. 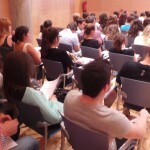 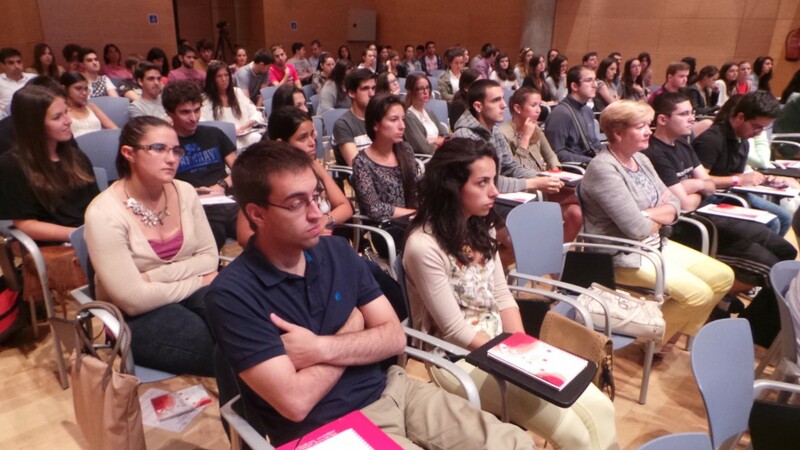 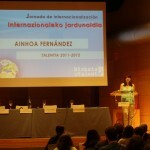 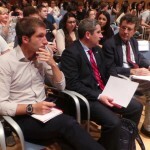 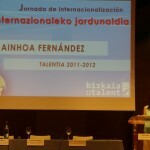 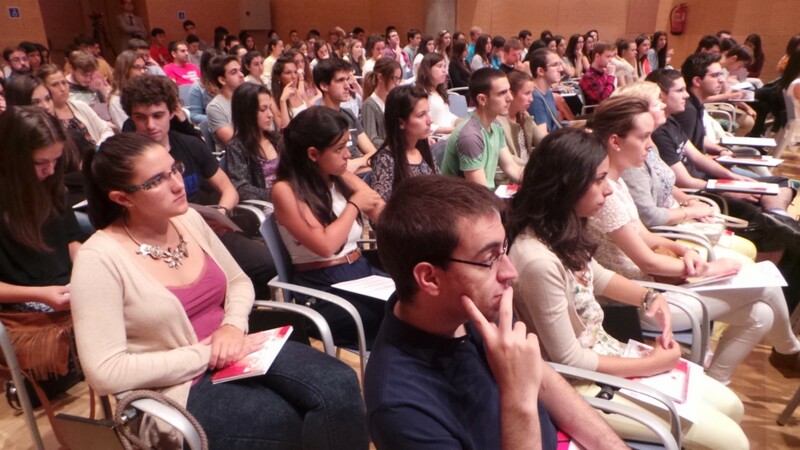 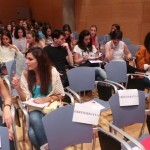 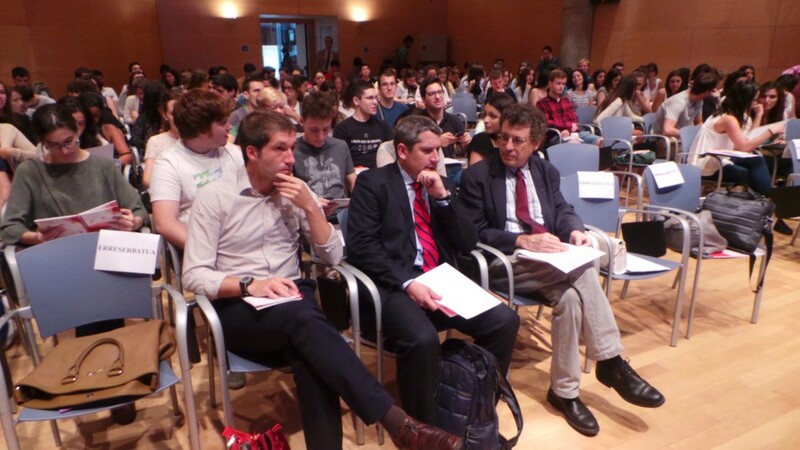 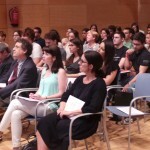 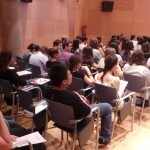 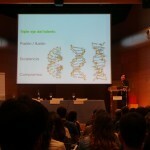 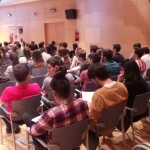 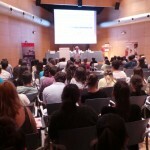 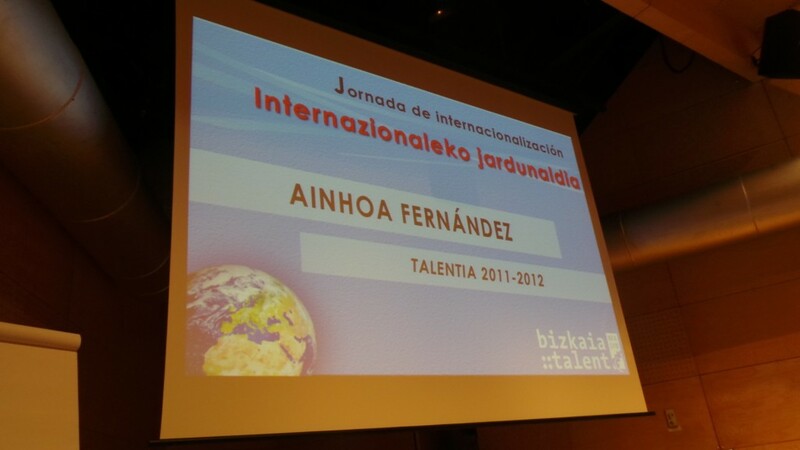 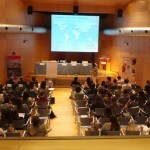 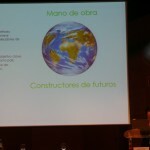 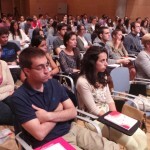 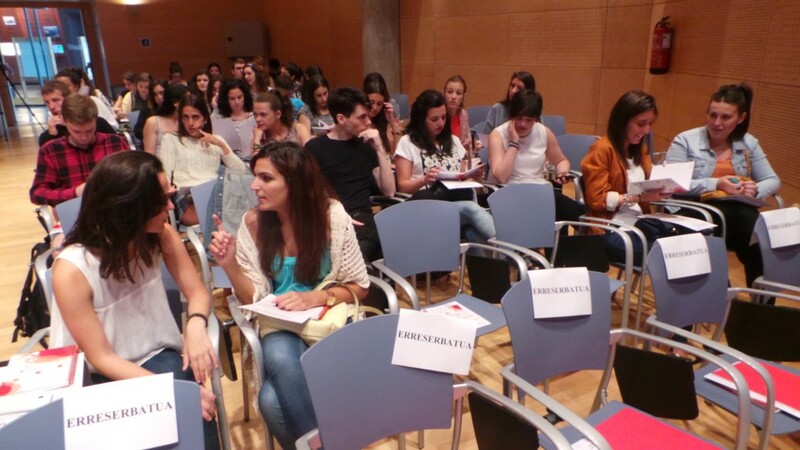 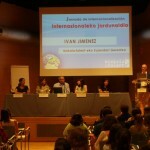 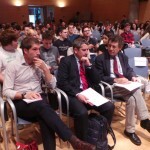 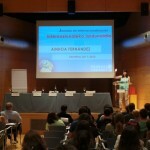 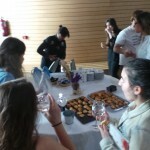 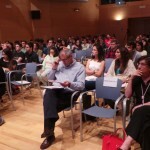 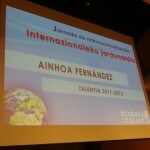 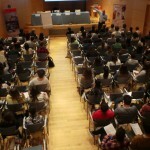 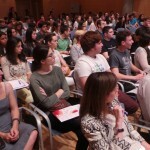 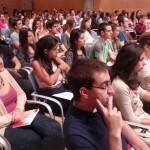 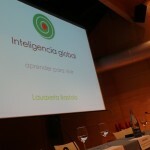 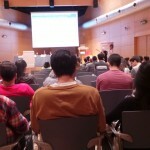 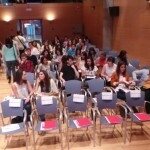 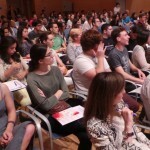 When Ojanguren ended her exposition, it was the turn of Ainhoa Fernandez, one of the participants in the 2011-2012 Talentia Programme and a Law graduate. 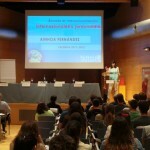 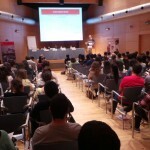 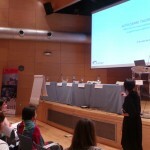 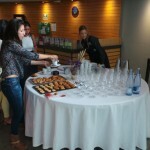 Fernandez, who empathized with all the attendees from the beginning of her intervention, stressed the importance of having a good personal brand as well as values and gave her personal testimony, including her international professional experience in China thanks to the Excellence grants offered by the Department of Economic Promotion of the Provincial Council of Bizkaia. 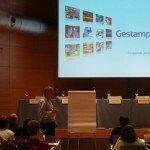 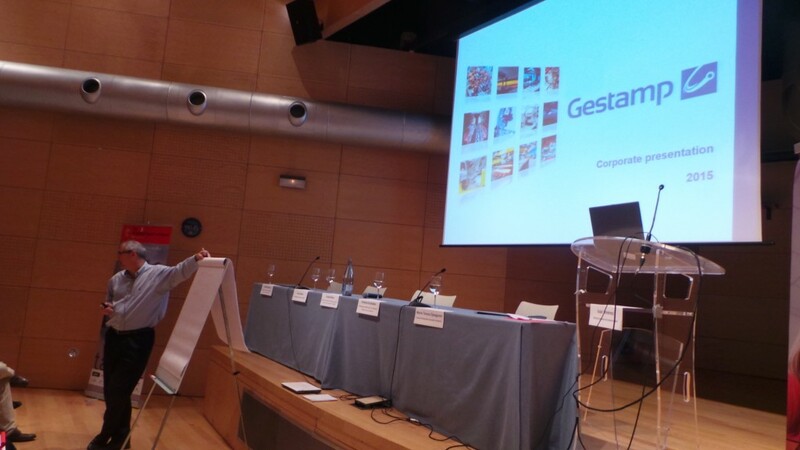 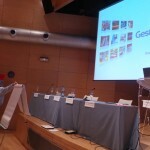 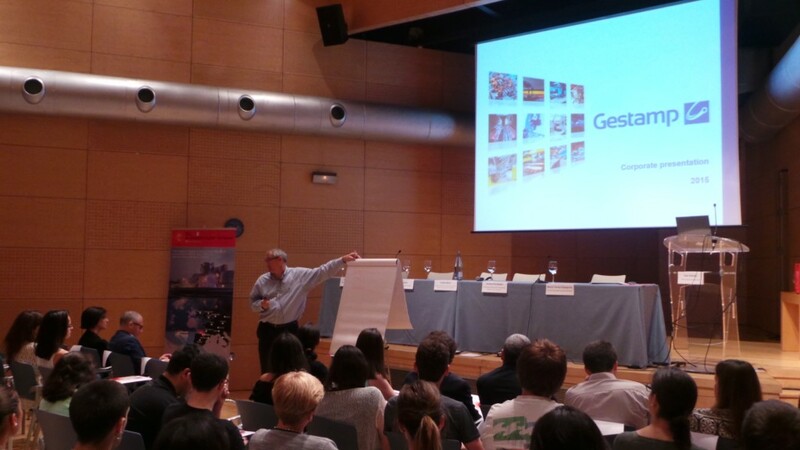 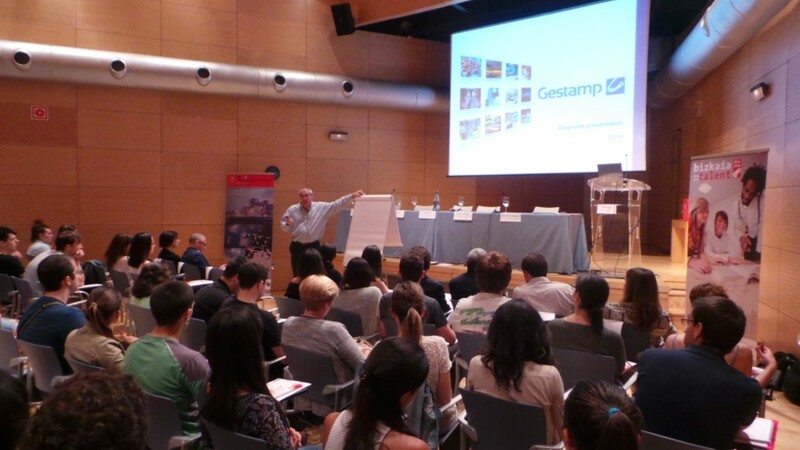 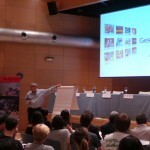 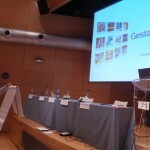 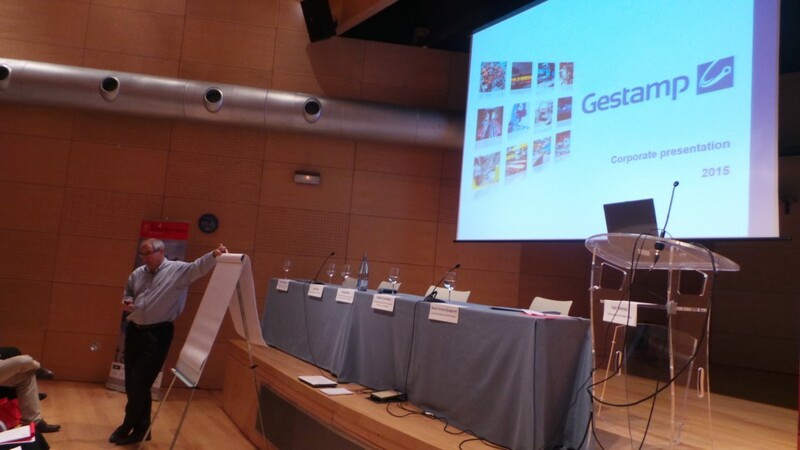 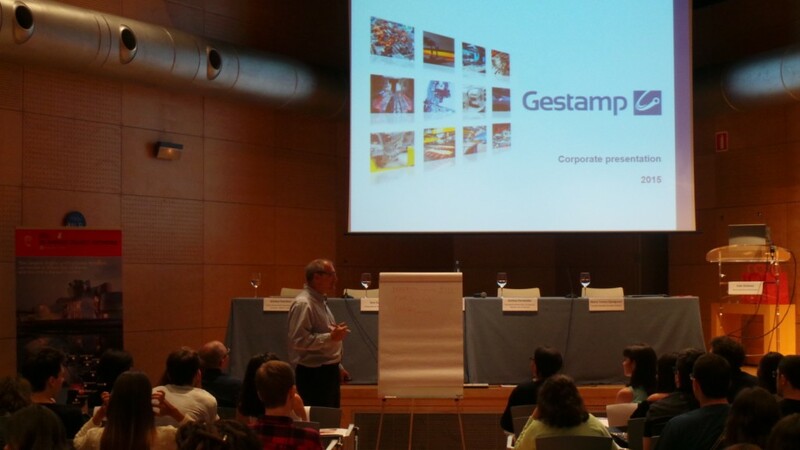 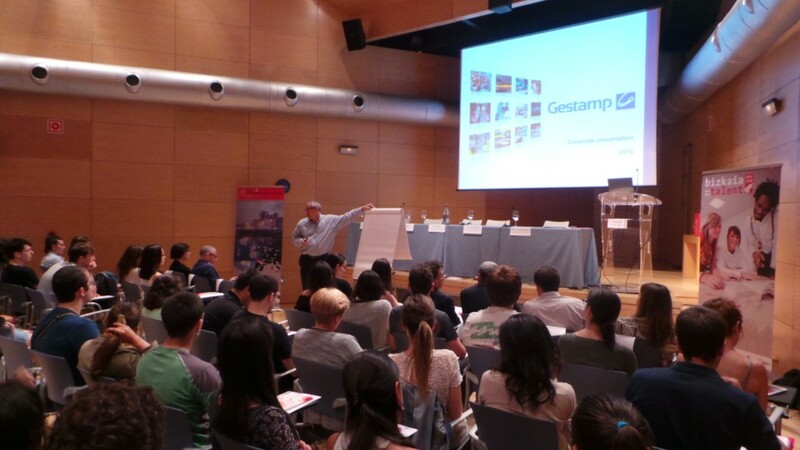 Joseba Mezo, Corporate manager of the Selection Area of Gestamp, was the third speaker and his presentation focused on showing the importance of the internationalization process of the organization for which he works. 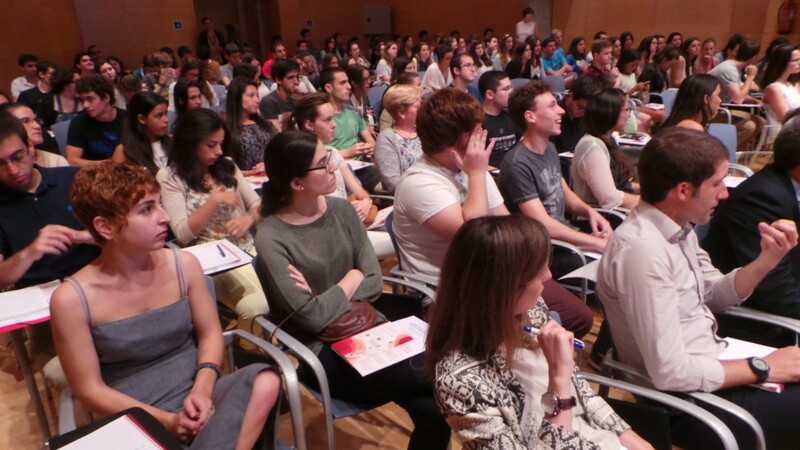 He also encouraged everybody to live an international experience so as to further their education and their personal and professional development. 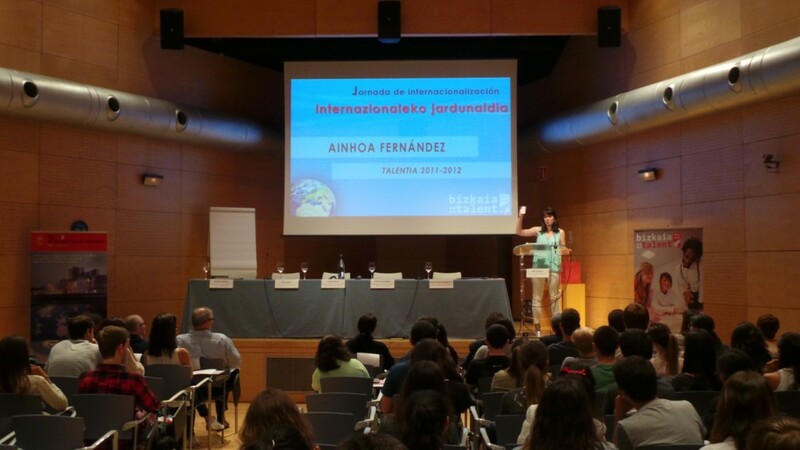 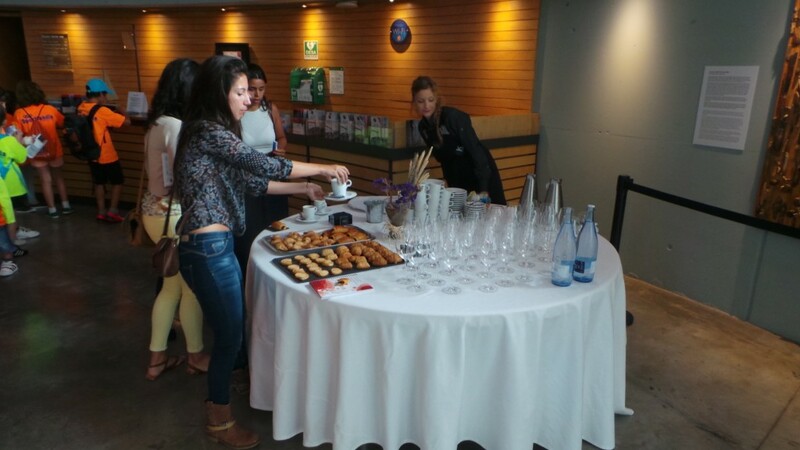 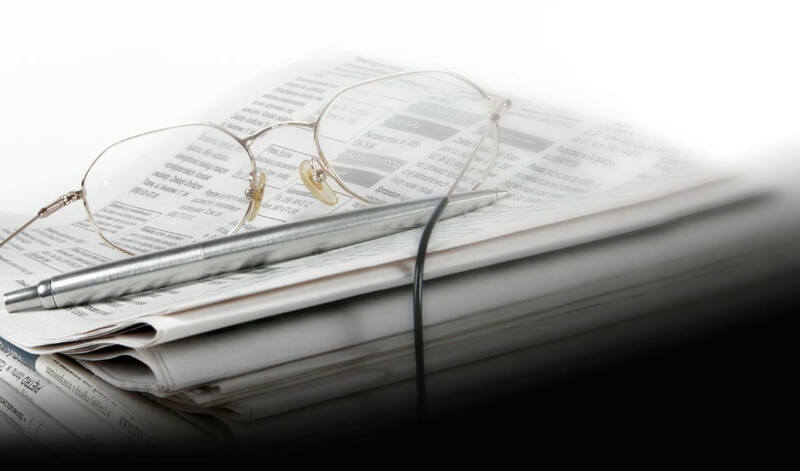 After a short break, Ana Zudaire, People Manager at Idom, on the basis of her own experience, explained the internationalization process undergone by her organization and the changes, measures and challenges they had to undertake. 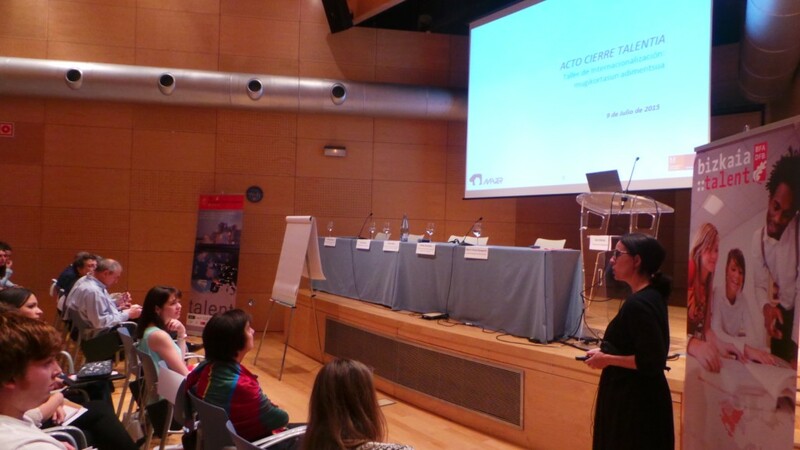 Finally, Ainhoa Gamboa, Organizational Development and People Manager at Maier S.Coop, told the participants in the Talentia Programme about the importance of values in organizations and focused on analyzing those of the company she represents. 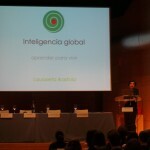 Amongst them she mentioned confidence, openness to change, client-orientation, efficiency and cooperation. 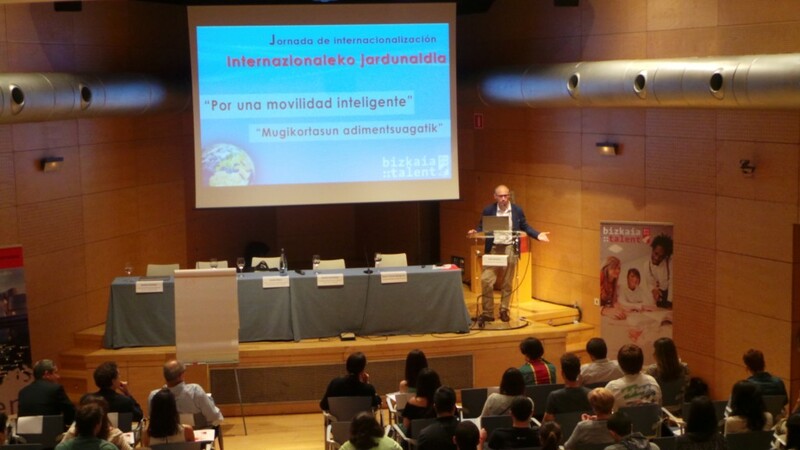 With this Internationalization Conference and thanks to all the speakers who attended the event, the participants in this sixth edition of the Talentia Programme had the opportunity to find out how students are educated in educational institutions, from the moment they start school, so that they can fulfil the expectations of society and meet the requirements which companies are currently looking for, which profiles are requested by the labour market at present and how to carry out an internationalization process within an organization with people as the main asset.